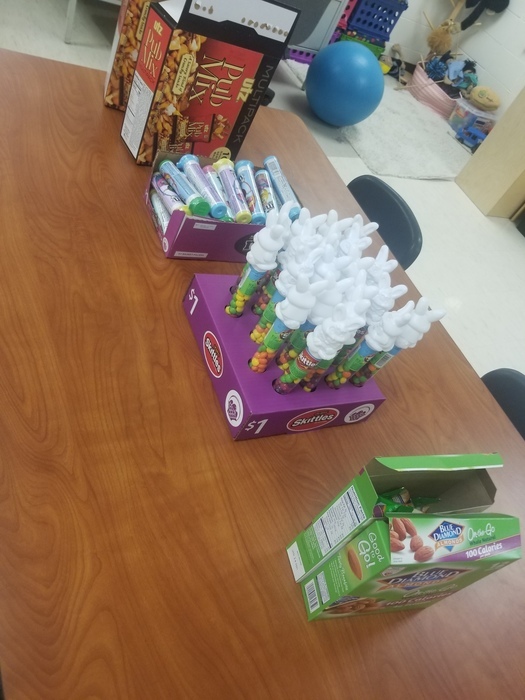 The Elementary Student Council provided room service to the staff today. 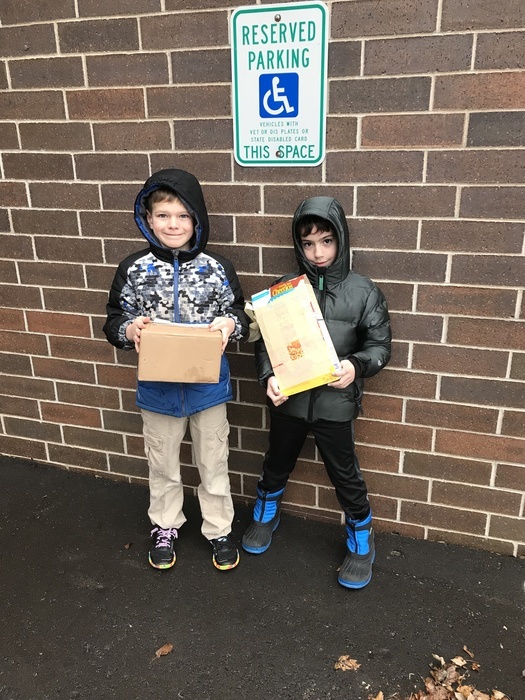 The kids had a blast collecting and delivering orders. 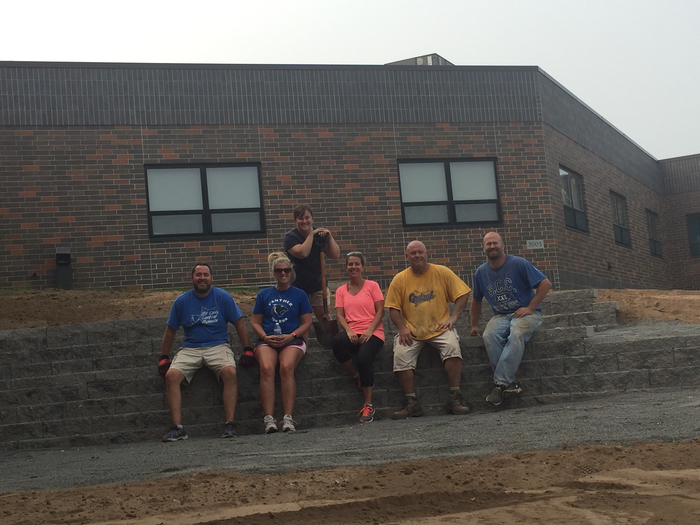 A huge thank you to our staff and everything they do for kids! 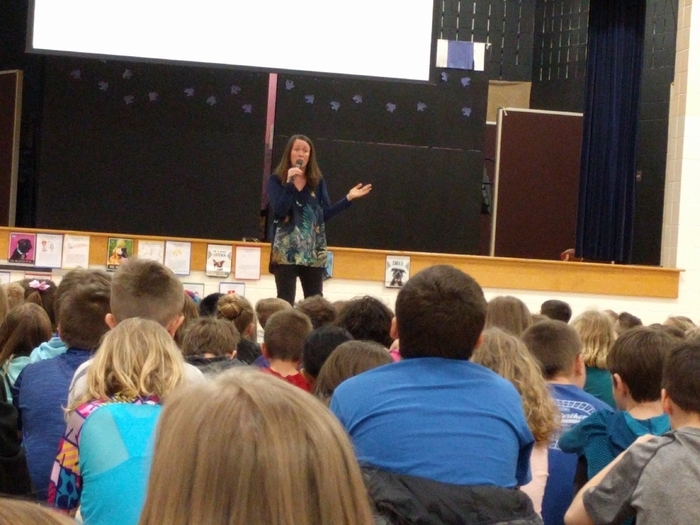 SCC kids were super excited to visit with author Laurel Snyder today! 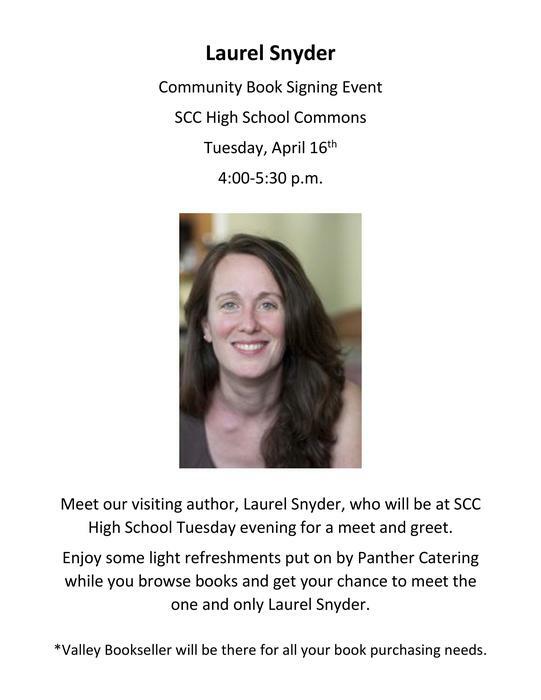 Families can meet her tonight from 4-5:30 at the HS. See you there! 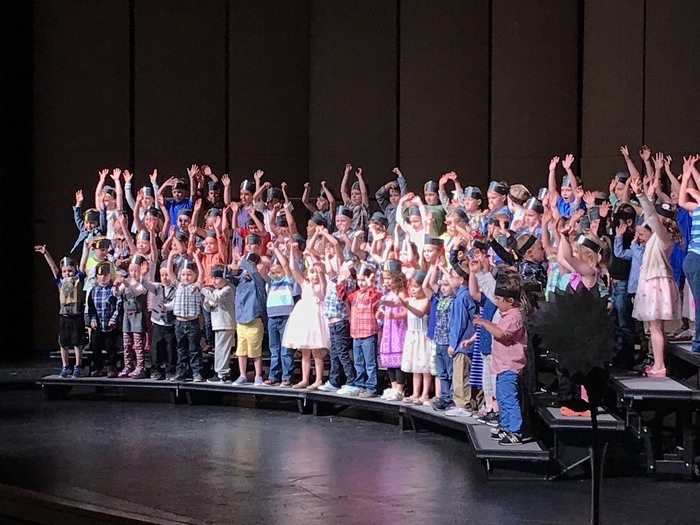 Looking for photos from the fourth grade play, The Lion King Kids? You can find them here! https://portraitsbykelsey.pixieset.com/g/4thgradelionkingplay/ Pin #: 7534 THANK YOU to Kelsey Freeland for taking these amazing pictures and allowing me to share them with you! 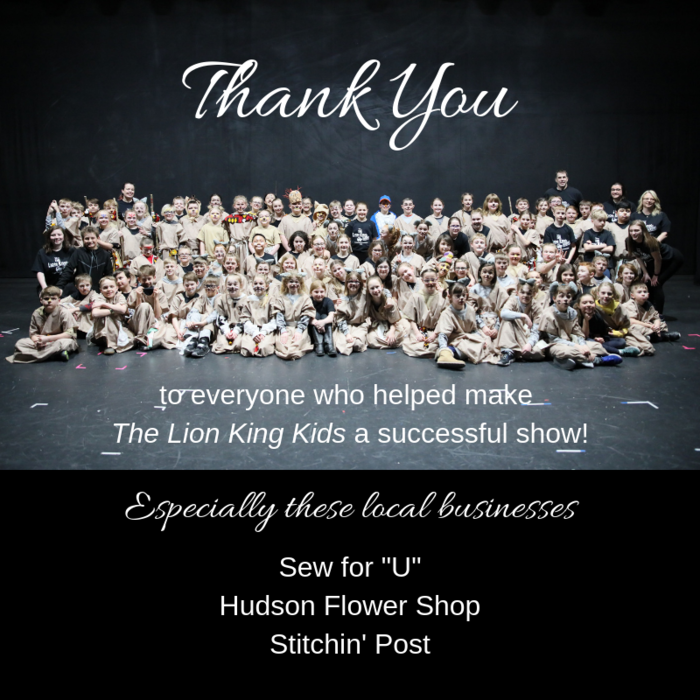 THANK YOU to everyone who helped make our show "The Lion King Kids" such a success! 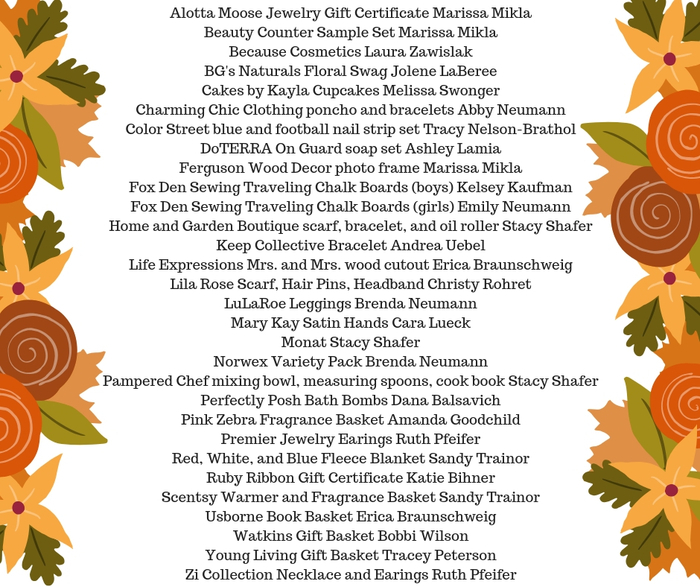 We especially want to thank the following local businesses for their support: Sew for "U", Hudson Flower Shop, and Stitchin' Post. Thank you!! Mrs. Fritz's Class is having a great time at beach day! We learned about jellyfish, snorkeled under the sea, and of course, had a beach photo shoot! 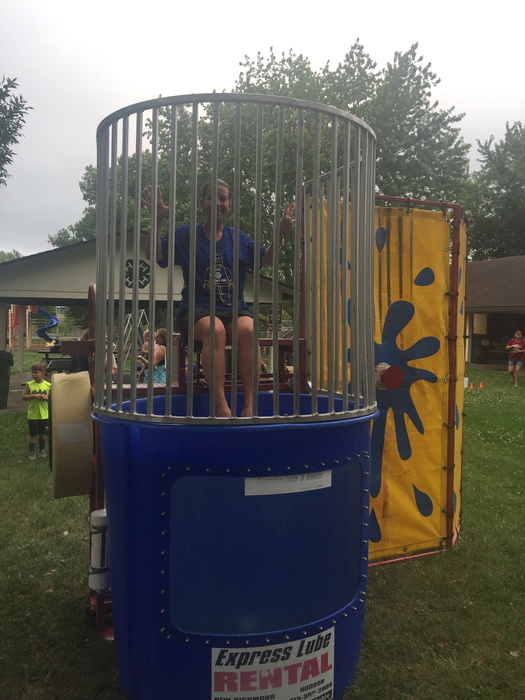 What a great way to celebrate all the hard work the kids have put in this school year. Have a great spring break! 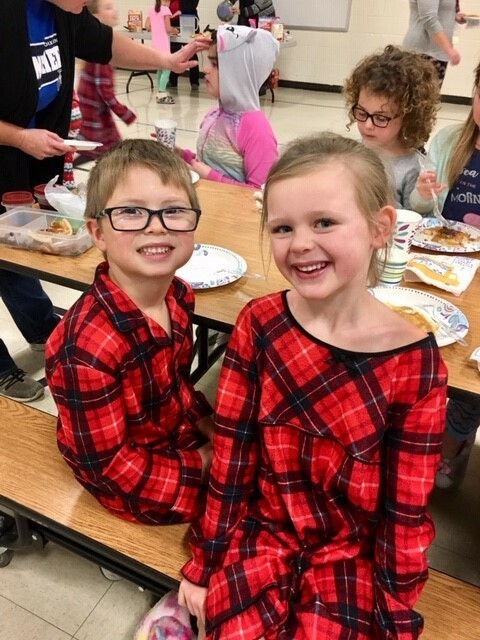 St. Croix Central students enjoying a FREE healthy breakfast in honor of National School Breakfast Week! Promoting National School Breakfast week with a FREE Breakfast for all staff and students. 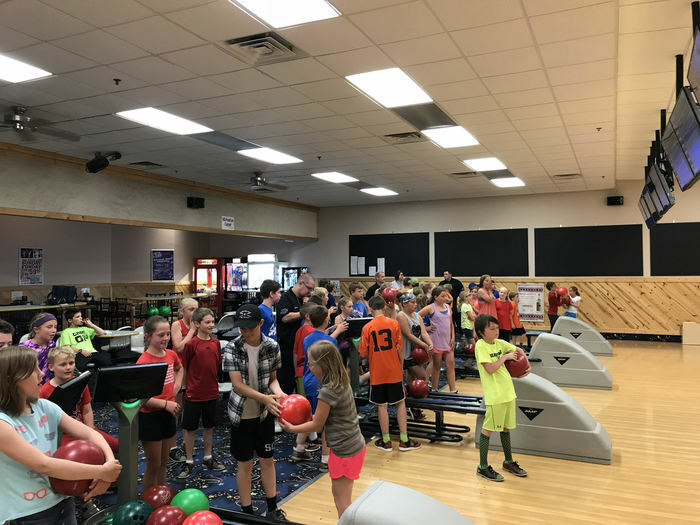 This event was sponsored by a grant from Fuel Up to Play 60 and the St. Croix Central Food Service. 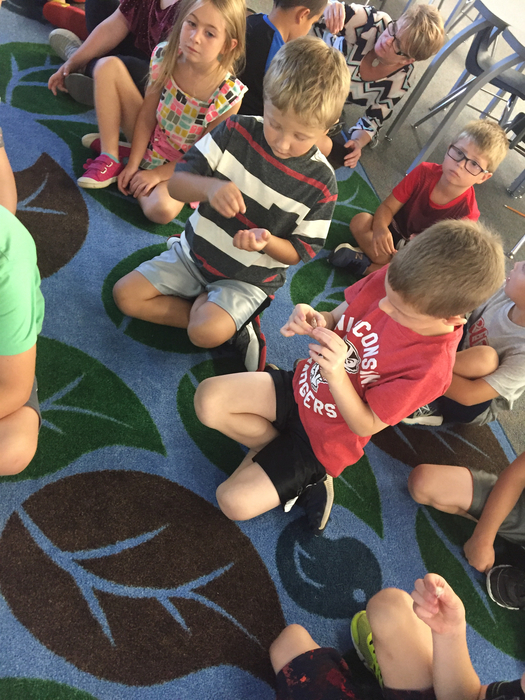 We had a jicama tasting before school recently at the elementary school. It is a new vegetable on the menu this month! 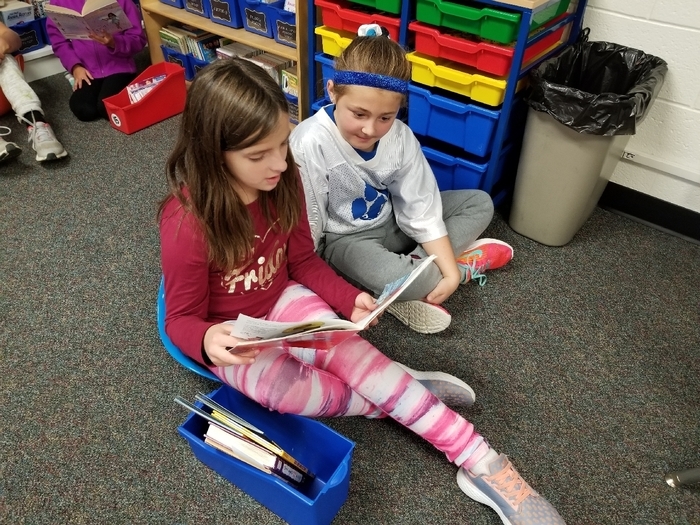 THANK YOU SO MUCH for supporting reading in your home and across our community by shopping at our book fair. 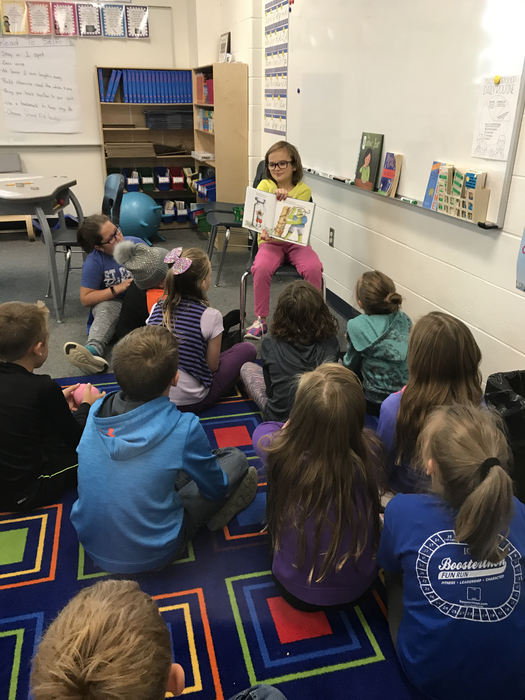 We were able to give away hundreds of dollars worth of books to kids, get dozens of new books for the library, and raise money to support the library program for years to come. Thank you again so much and keep reading! 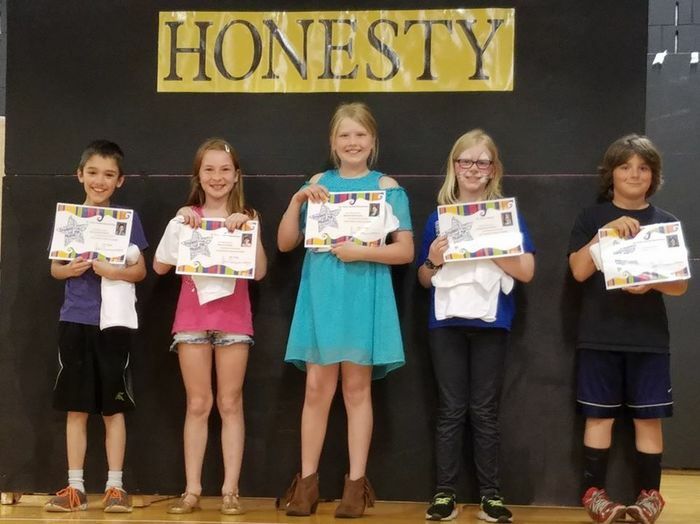 The fourth grade play is going strong, and it's because of fundraisers like this that we are able to do such amazing productions! Put it on your calendar! 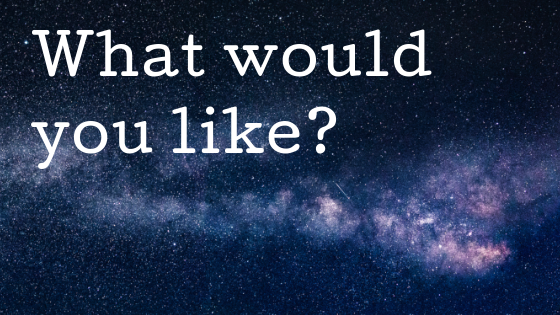 Have something your interested in selling at the fair? Contact Ms. Neumann for more information. 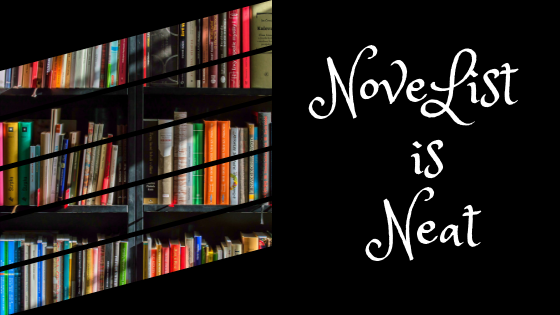 The book fair might be over at school, but you can still shop the ONLINE book fair thru Feb 25. 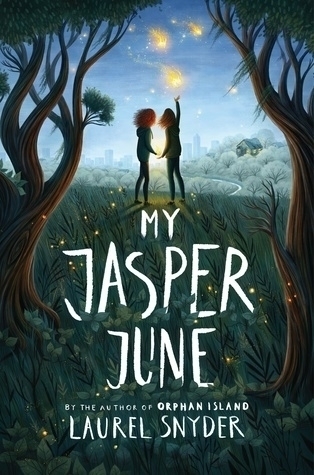 Just visit http://www.scholastic.com/bf/sccelem and click the “Shop Now” link. 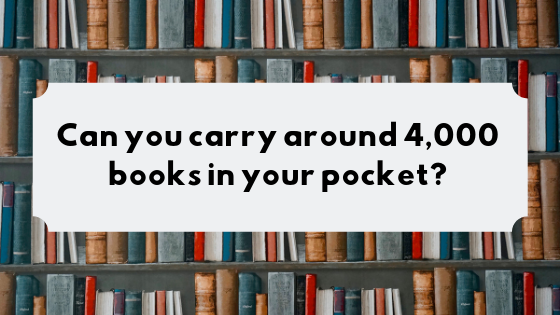 There is very large selection of books at all age ranges and items are shipped to school for FREE! 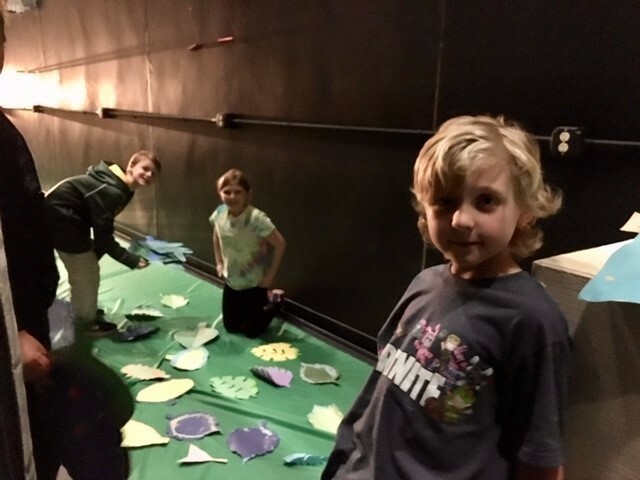 The 4th graders have been busy making the props and set for the Lion King play! The play will be presented in the Community Auditorium at the High School on March 14th and 15th at 6pm. Congratulations to the Panther Powerlifters that qualified for state. 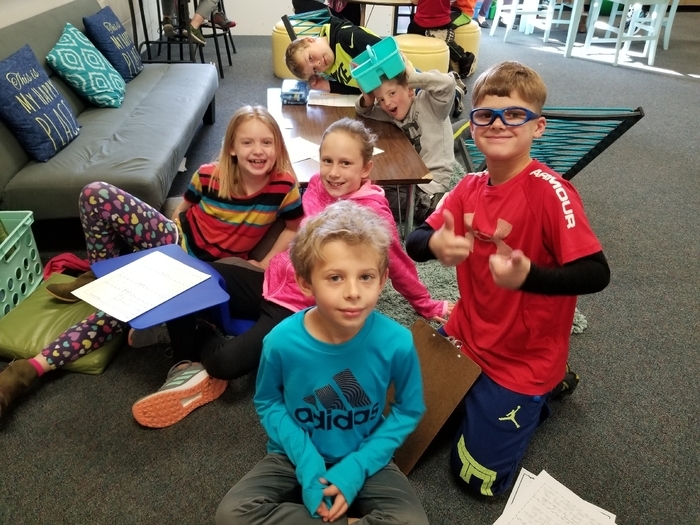 Claire Moll, Taylor Jernell, Sydney Burgess, Noah Schmitz, Luke Holme, Zac Holme, Keagen Berg, Trevor Kopacz, and Austin Kopacz. They will be competing in Appleton March 2nd and 3rd in the WHSPA State meet. Great job and best of luck! Be sure to stop by the SCC Elem book fair TONIGHT during conferences. We will be open from 3:30-7pm. 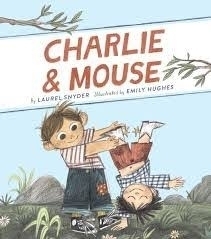 Find more info at http://www.scholastic.com/bf/sccelem . 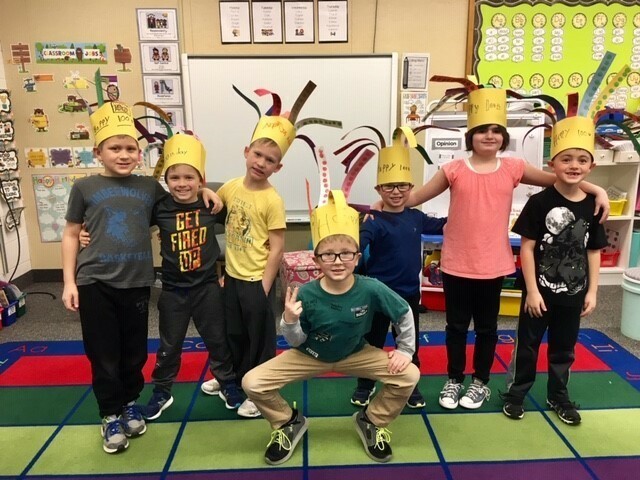 Mrs. Cicha's first grade class celebrated 100th day by making crazy groups of 10 hats! 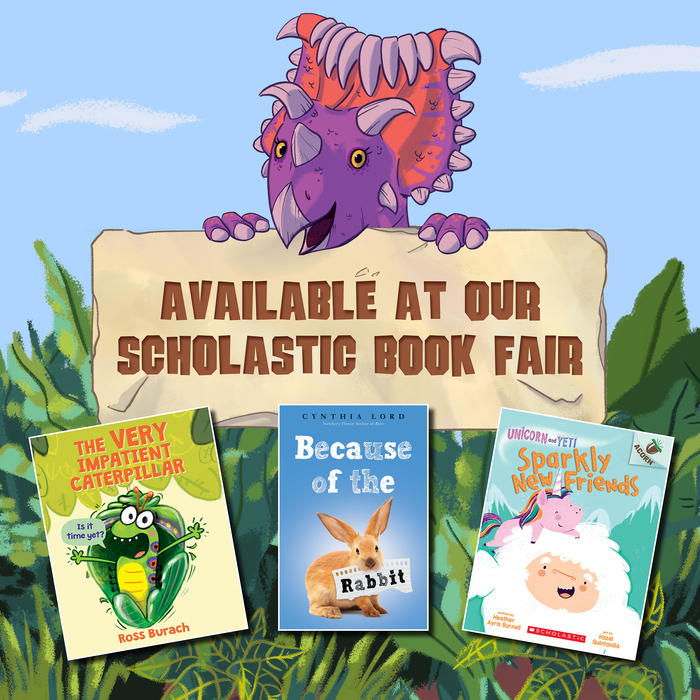 The book fair starts tomorrow! 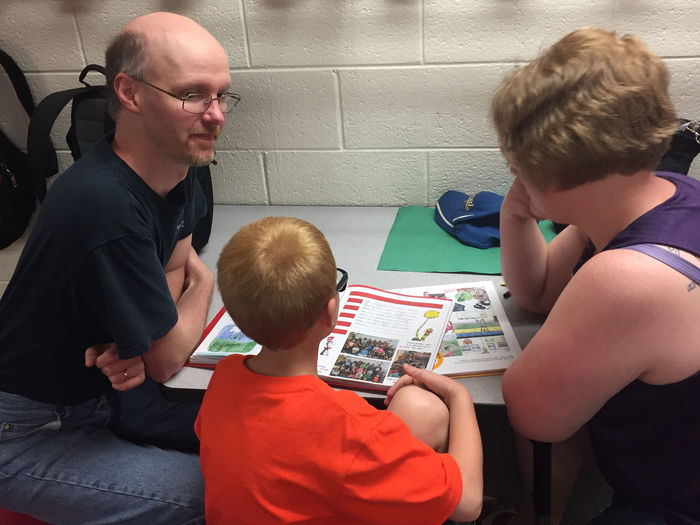 Visit http://www.scholastic.com/bf/sccelem for all the information about student shopping during the school day and parent shopping in the evening. We can't wait to see you! 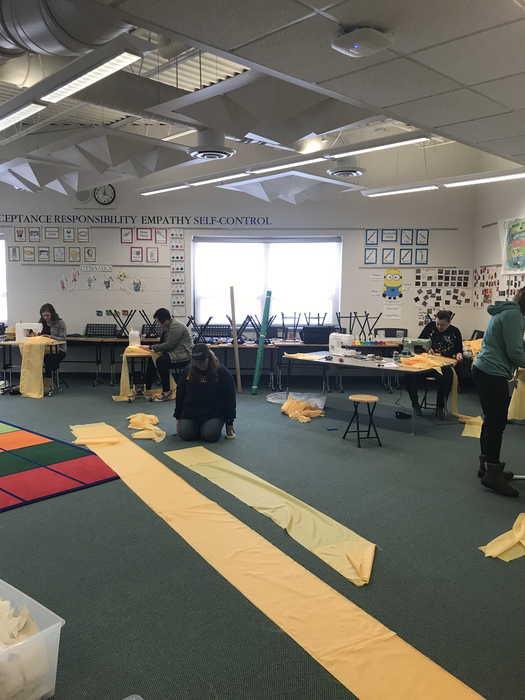 Ms. Neumann and the sewing crew making the sun for the Lion King! SCC Kids LOVE the balancing & climbing unit! 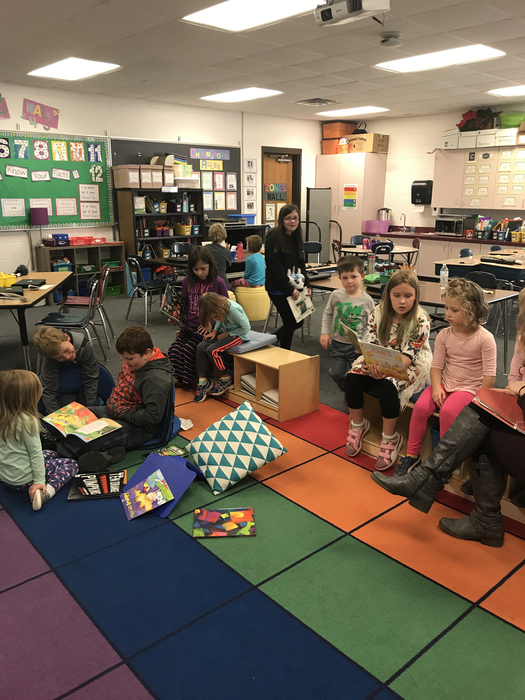 First Grade students in Mrs. Cicha's class celebrate "Fri-yay" with Flashlight reading in a reading fort! 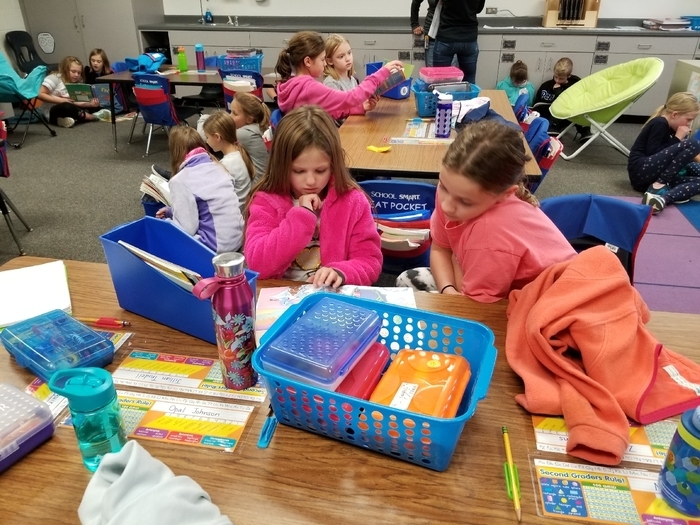 First Grade preparing for the February CARES assembly. 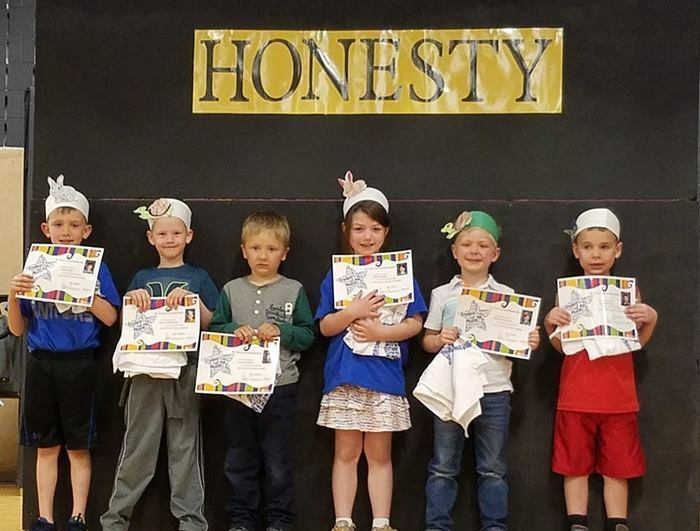 They will be presenting the story of the Interrupting Chicken to teach about self-control. 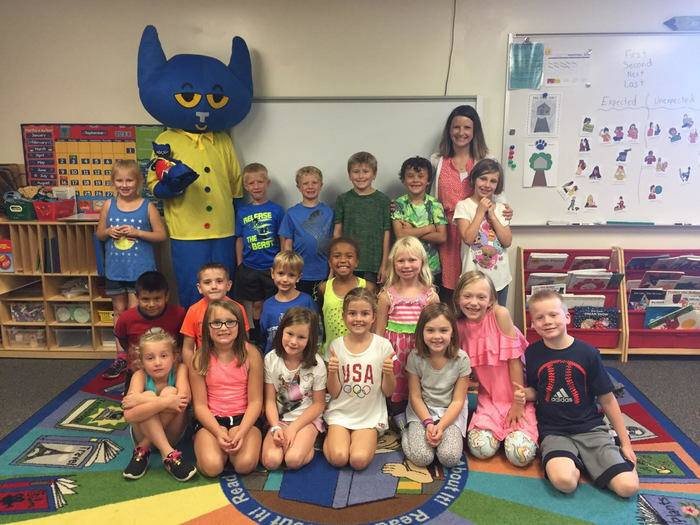 Pete the Panther traveled to Mrs. Huftel's classroom to present the traveling trophy award for showing empathy! 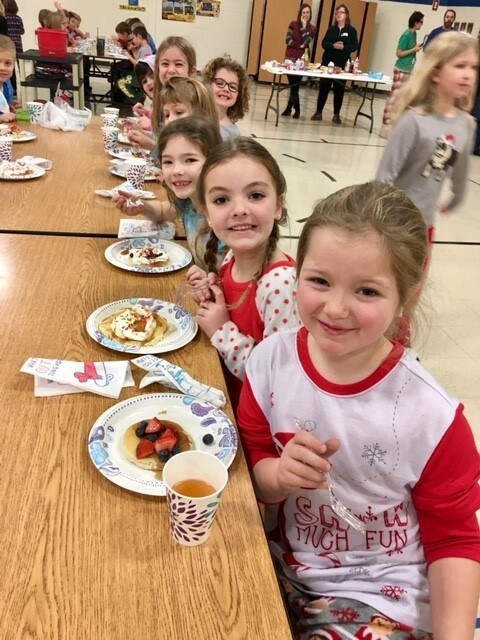 First graders had an Elf Pancake breakfast today! 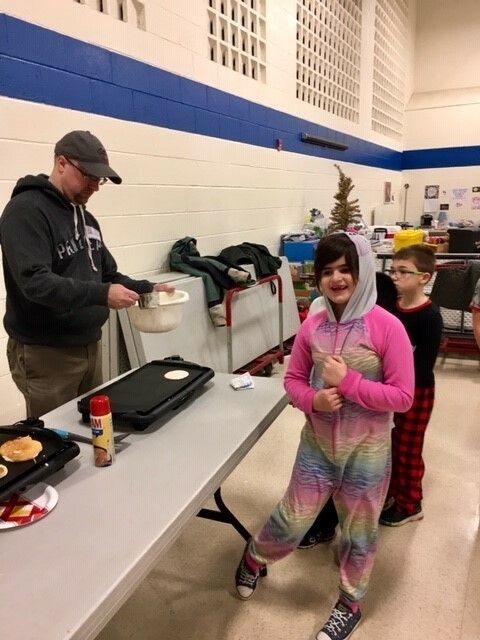 The pancakes were topped with lots of goodies such as whipped cream, chocolate chips, blueberries and more! 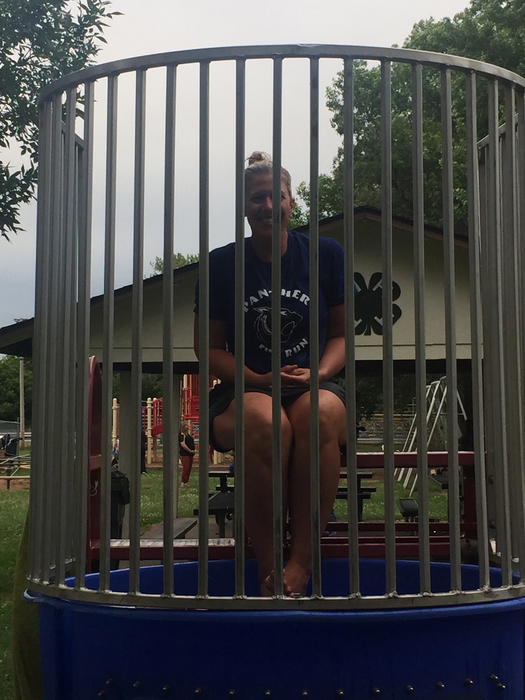 We had many parent volunteers come in to help with this fun event. 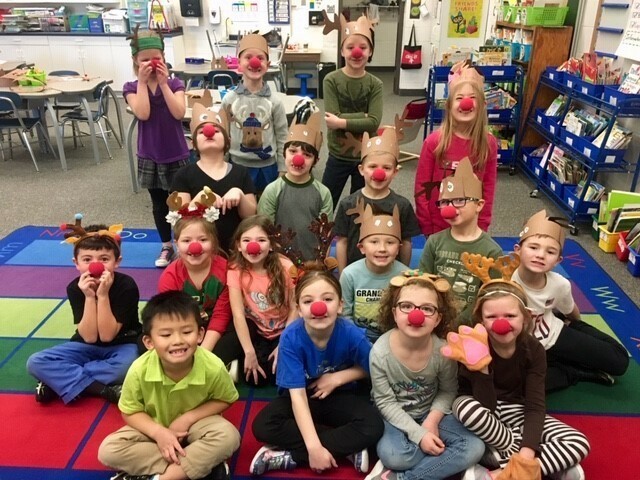 It was Reindeer Day in First Grade today. 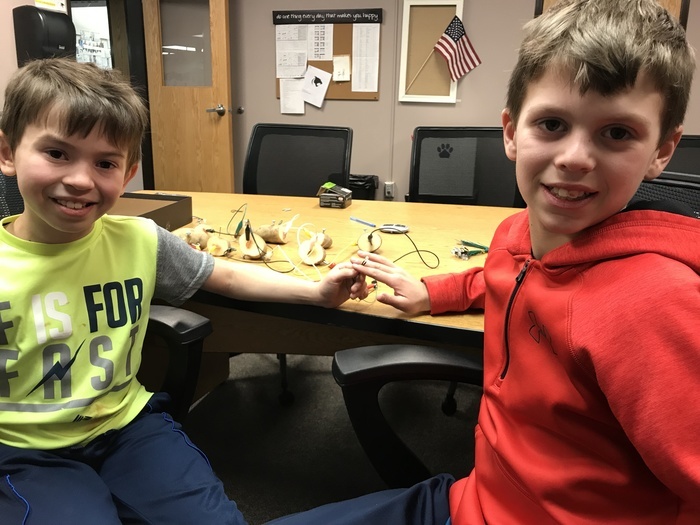 Students dressed in reindeer gear, made reindeer projects and played reindeer games. 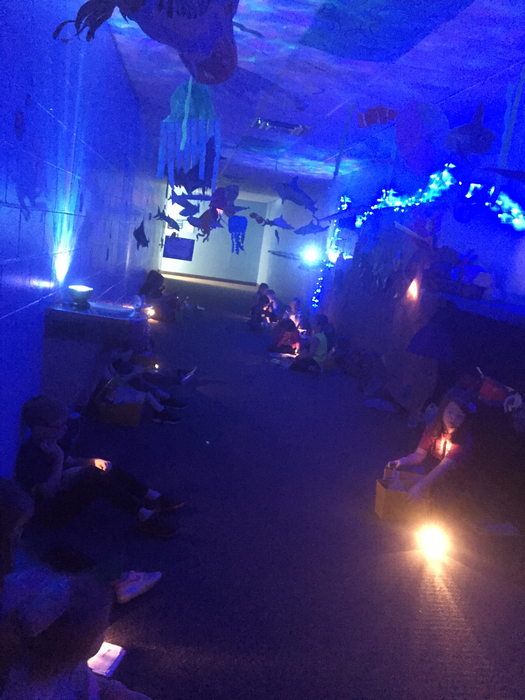 Mrs. Cicha's Class Reads in the "Ocean" created by 4th grade science students. 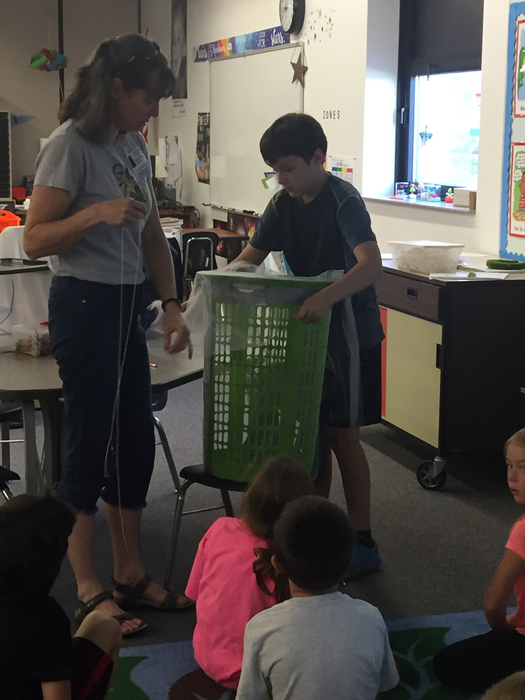 A 3rd grade WIN group kicked off a Citizen Science project today with Mr. Rohde and Mrs. Benzer. 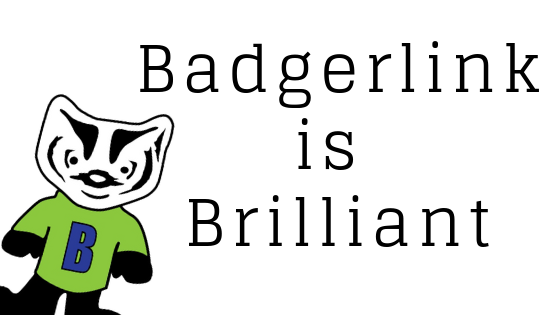 Students will be participating in Snapshot Wisconsin. 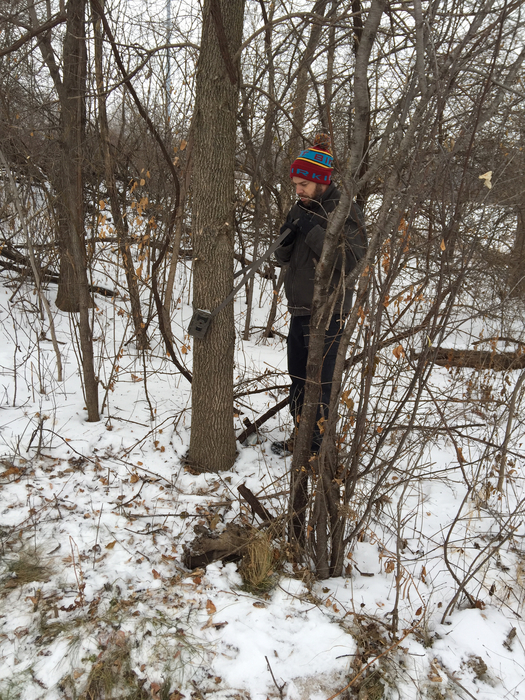 They will take and upload pictures to the WI DNR using a game camera. They will also identify animals in photos, look for tracks, and use mapping skills. 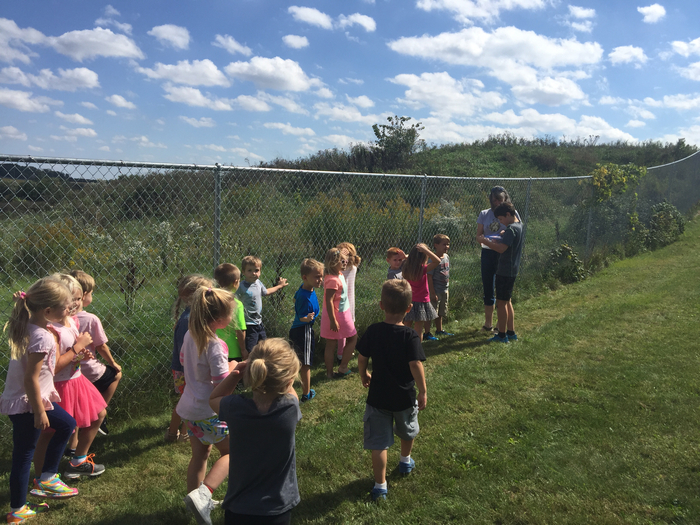 The DNR uses the info to learn about wildlife in the area. 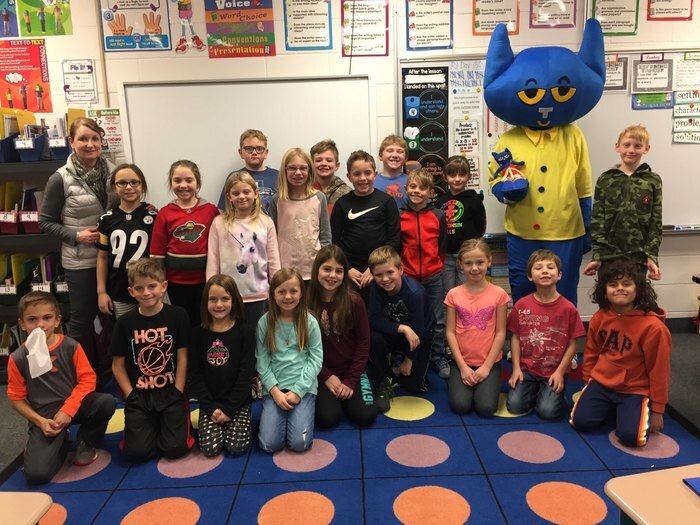 This week Pete the Panther visited Mrs. Dalton's 2nd grade class to talk about empathy and acceptance! 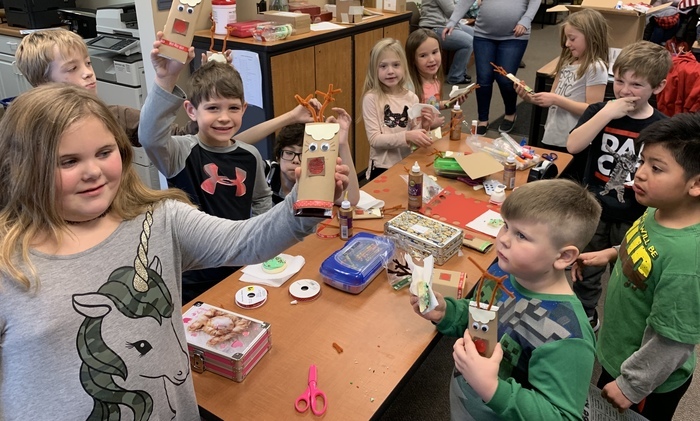 The office Panther Pack is doing a holiday craft! 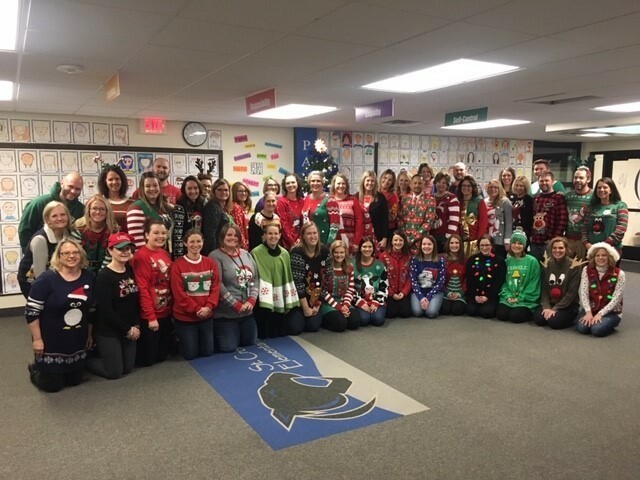 Elementary staff shares in the holiday spirit! 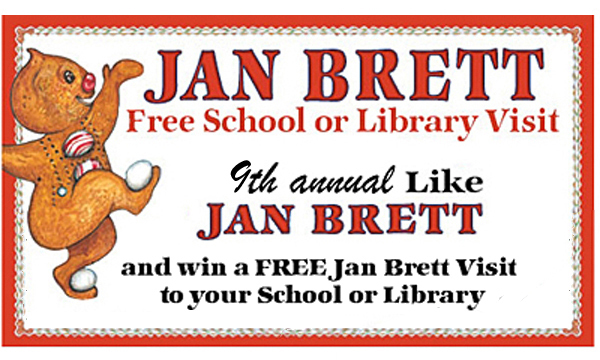 Thank you to Mrs. Cicha for entering the library in Jan Brett's free book contest. 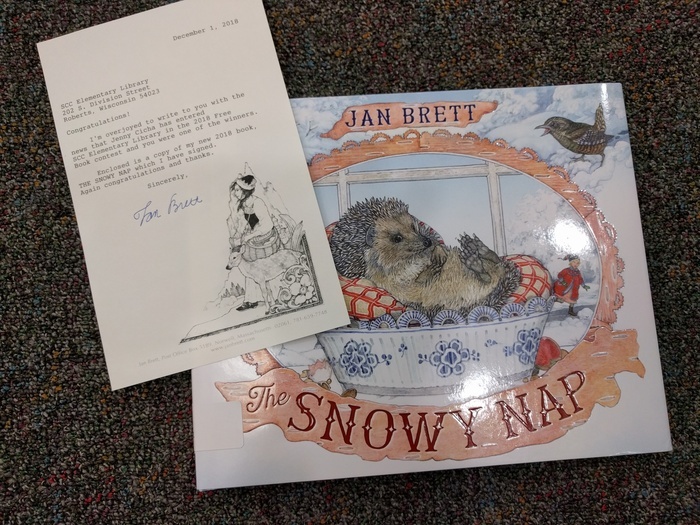 We received a signed copy of "The Snowy Nap" this week! 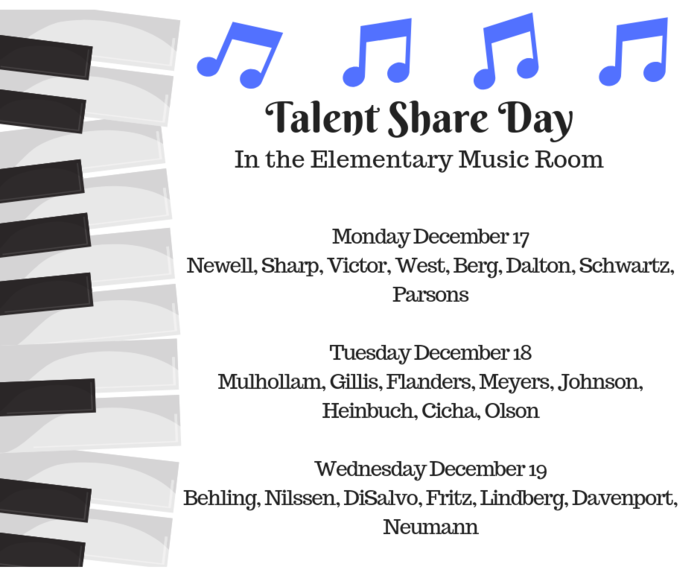 Talent Share Day is coming up next week in the elementary music room. Please check the schedule (picture) for what day your class has talent share day! 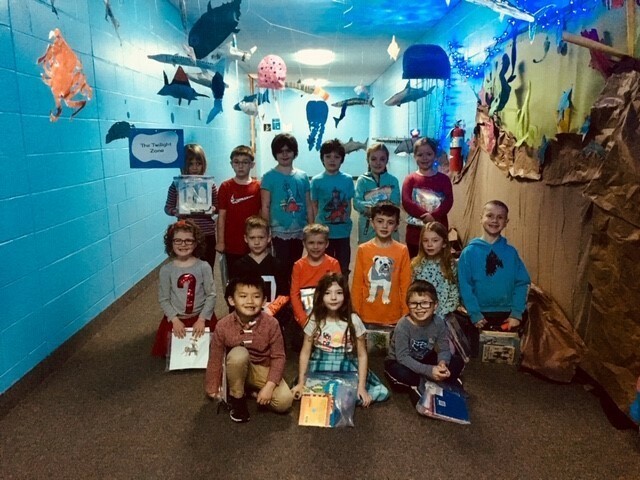 1st graders in Mrs. Olson class enjoyed reading “underwater” in the “4th Grade Ocean”. 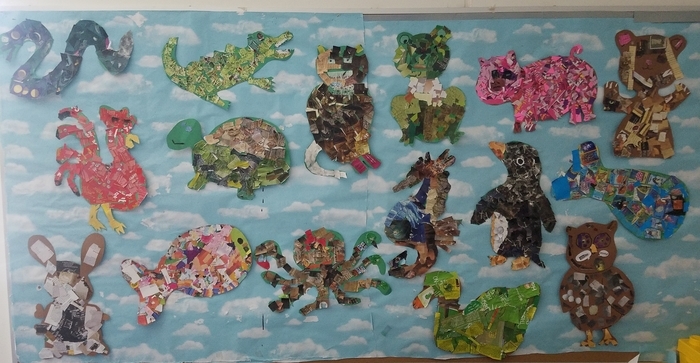 4th graders researched an ocean creature and made a 3D model along with the project. 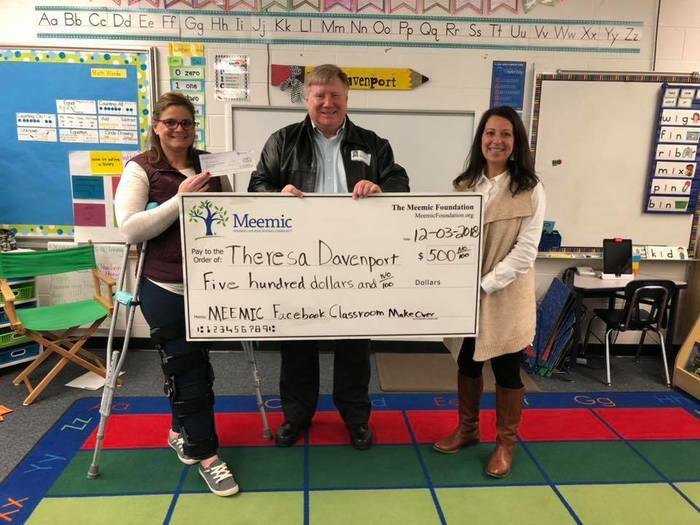 Mrs. Davenport received a $500 grant from Meemic Insurance for a classroom makeover. 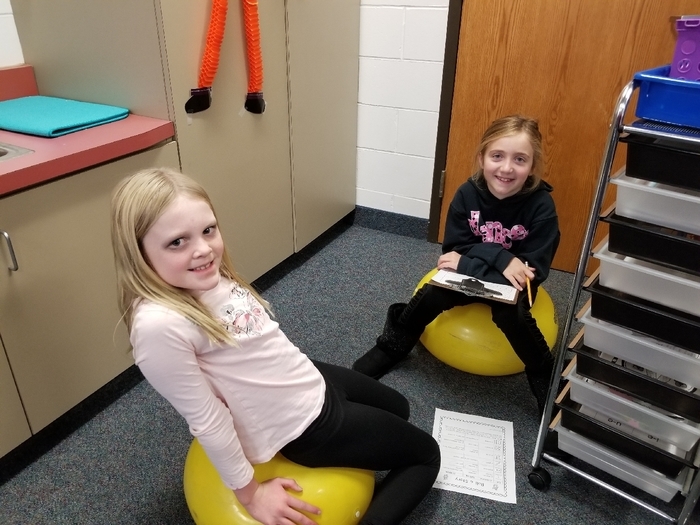 She plans to use it for more flexible seating options for students. 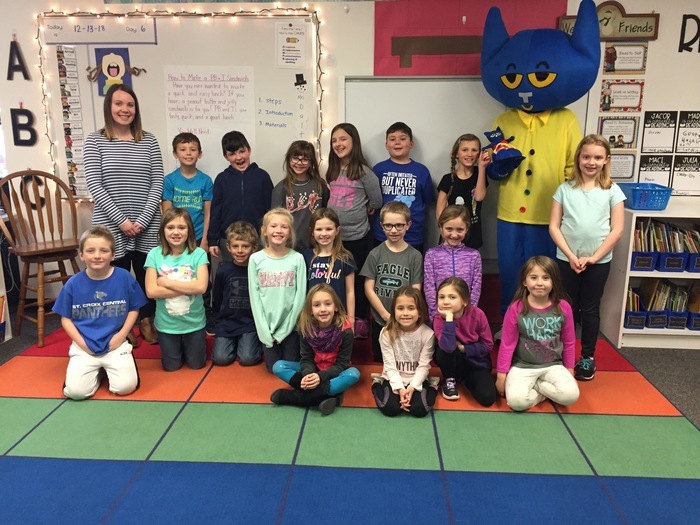 Congratulations to Mrs. Johnson's 2nd grade class who were this week's recipients of Pete the Panther's traveling shoe for doing a great job showing empathy! 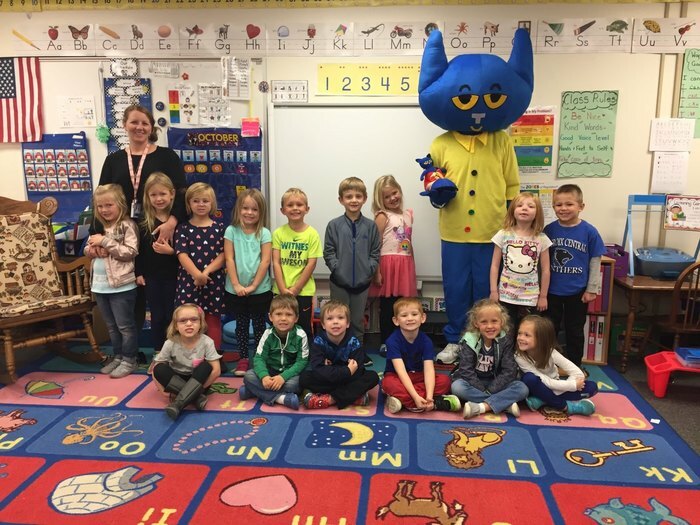 Yesterday Pete the Panther presented the traveling shoe with treats to Mrs. Sharp's classroom for showing empathy. 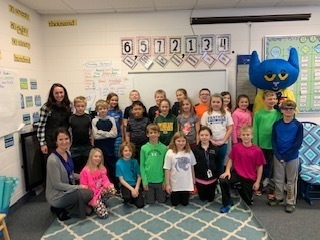 Yesterday, Pete the Panther presented Mrs. West's 3rd grade class with his traveling shoe filled with treats for doing a great job showing empathy! What a GREAT night at Paint Night at the elementary school. 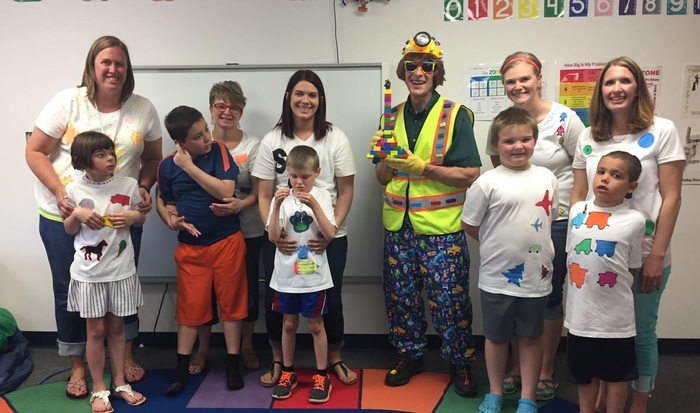 This was a fundraiser for the elementary drama program and everyone had a FANTASTIC time! Thank you for coming! We have another paint night coming up on Tuesday November 13th. 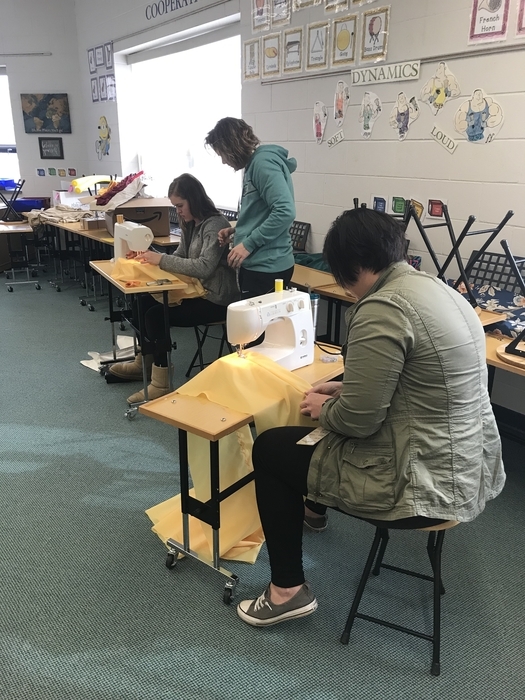 Please pre-register by sending the number of seats needed to mneumann@scc.k12.wi.us (that way we have enough tables set up!). 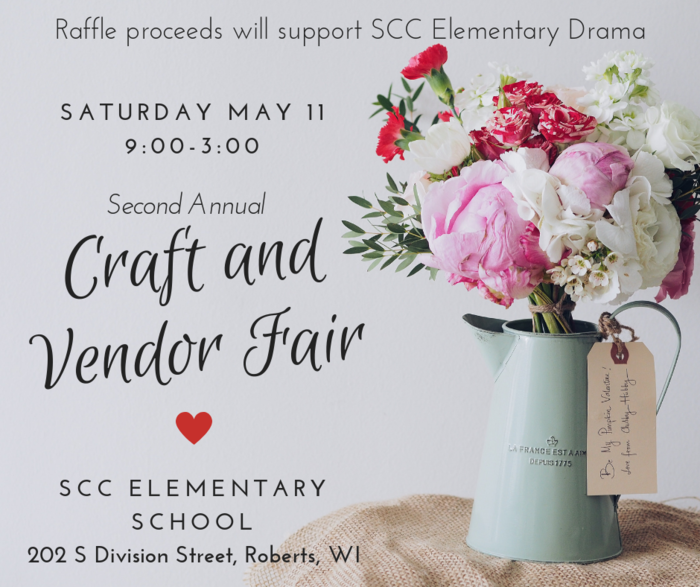 All proceeds benefit the SCC elementary drama program, we hope to see you there! 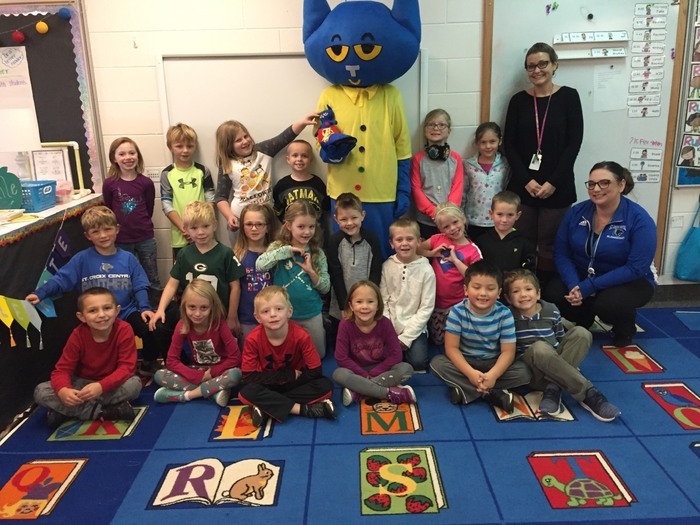 Mrs. Gillis' class received Pete the Panther's traveling shoe of goodies today as we began our C.A.R.E.S. focus on empathy. Congratulations! 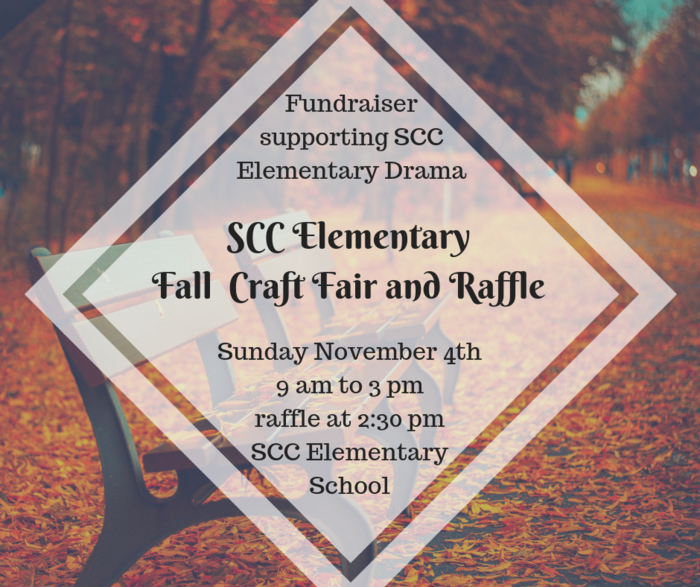 THANK YOU to everyone who came out to our Craft Fair, benefiting the SCC Elementary Drama program. We had a GREAT time! Thanks also to those who purchased raffle tickets! 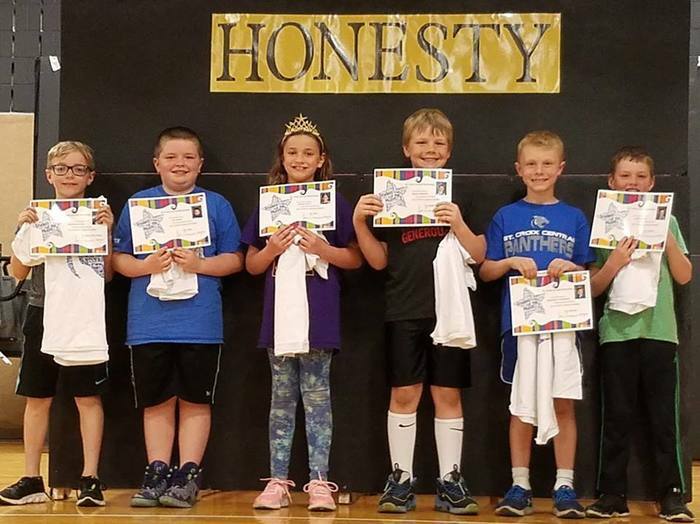 Here are our winners! 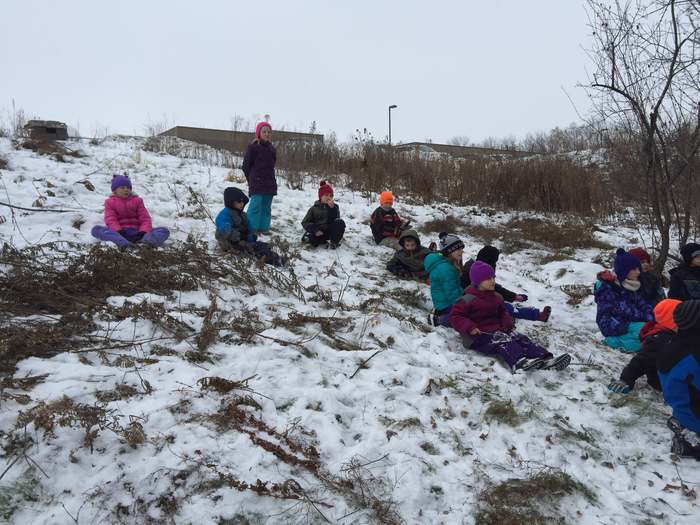 The holiday season is fast approaching and St. Croix Central Schools, along with community members, would like to continue their tradition of the Holiday Angels Program. This program started years ago and has helped brighten the holidays for many families. 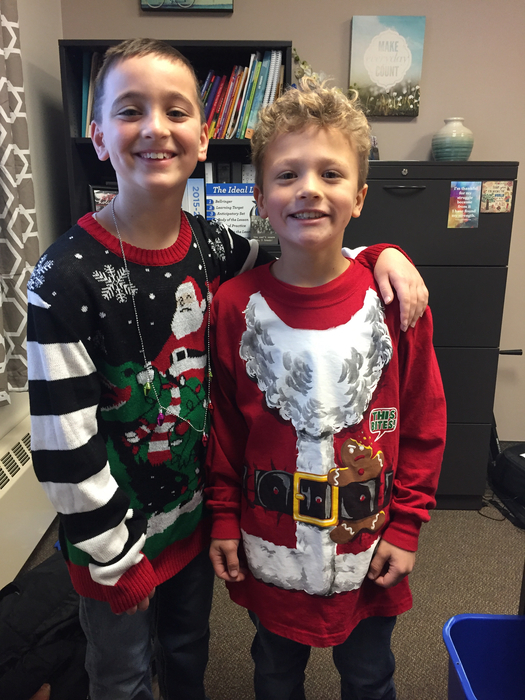 If your family is in need of a little help this holiday season, or if you have a friend that could use some assistance, please call or email Alyssa Fritsche or David Linsmeyer (School Counselors) at the elementary school (715-749-3119; afritsche@scc.k12.wi.us/dlinsmeyer@scc.k12.wi.us). Names will be taken through December 5th. Gift pick up will be on December 12th. Families can also sign up at this link (https://goo.gl/forms/w0gcRcPA8Ee9q4Ic2). 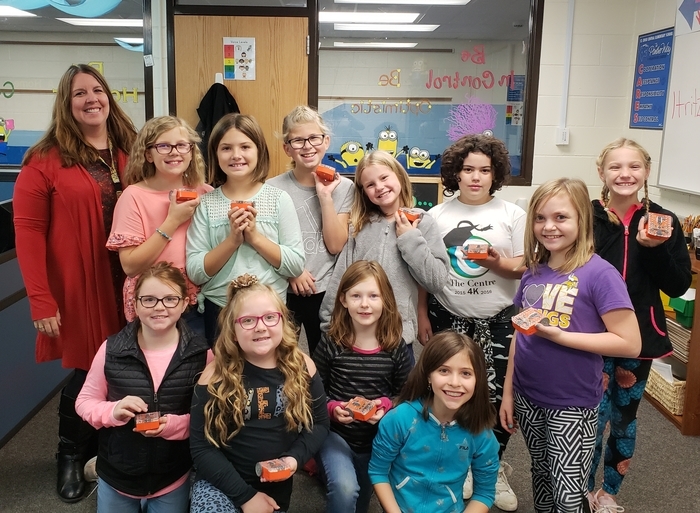 Congratulations to Mrs. Flanders' 3rd grade class who were the recipients of Pete the Panther's traveling shoe of goodies as we wrap up our C.A.R.E.S. focus on acceptance! More paint night pictures! 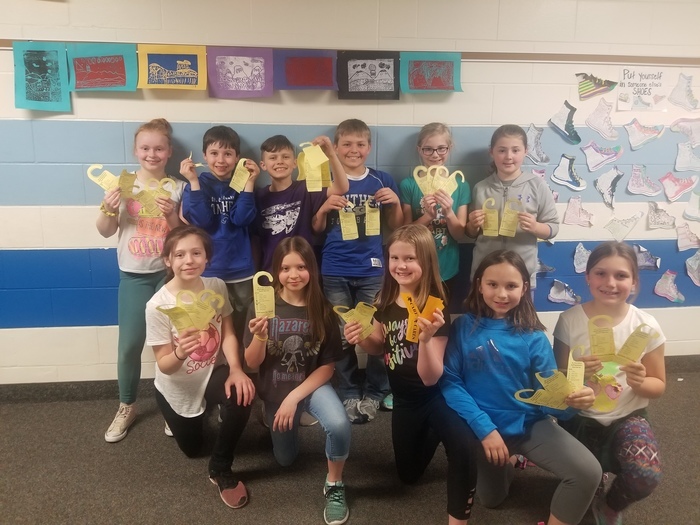 We had so much fun crafting for ourselves and gifts while supporting the SCC elementary drama program. 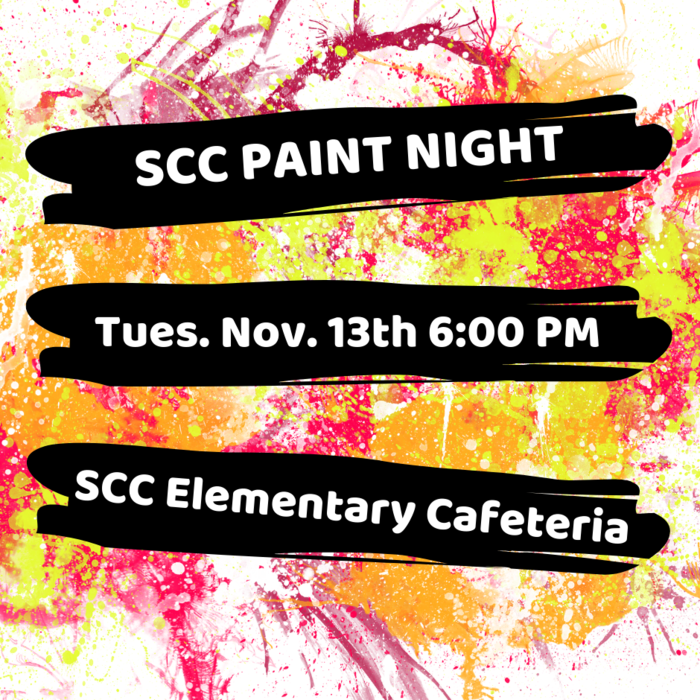 Please consider joining us for our next paint night on 11/13 or our craft fair fundraiser on 11/4, both at SCC elementary! 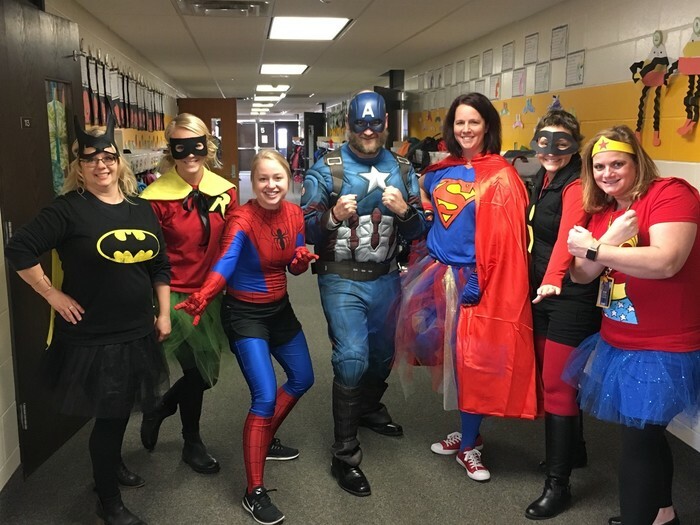 The First Grade Team at SCC Elementary were "Super" excited for Halloween! 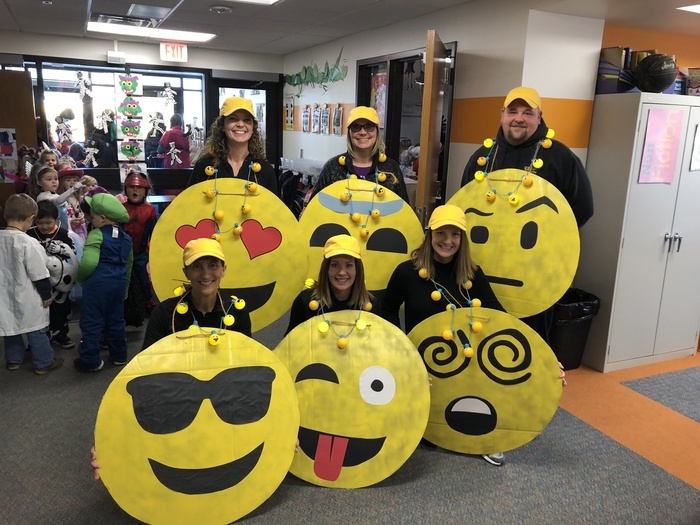 Second Grade Teachers show lots of emotions on Halloween Day! 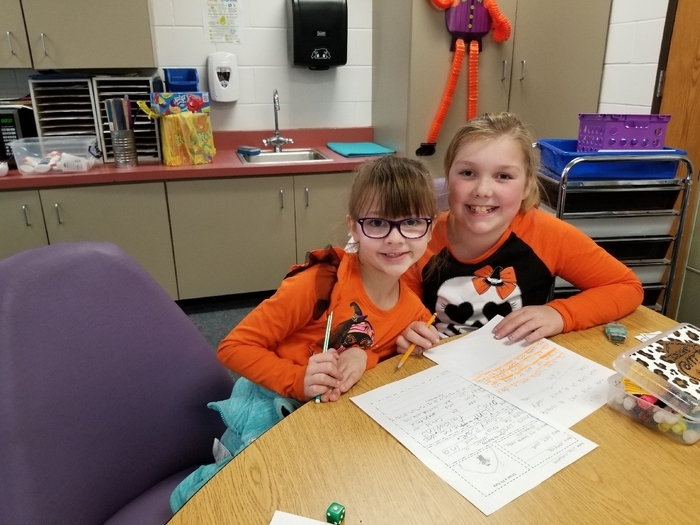 We are so excited for Halloween! We had SO MUCH FUN at paint night last night! Thank you to all who turned out to this fundraiser for our elementary drama program. Does this look like something you would enjoy? Please consider registering to join us for our next paint night on November 13th! 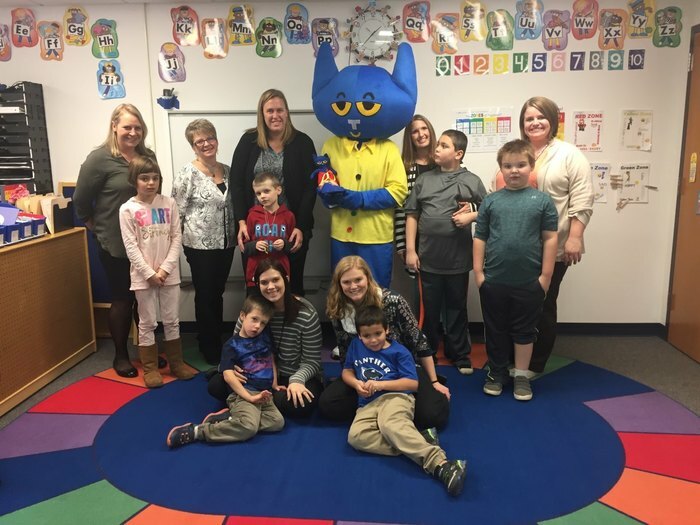 Pete the Panther traveled to Mrs. Gayan's room today to present her students with the goody filled shoe and talk about acceptance! 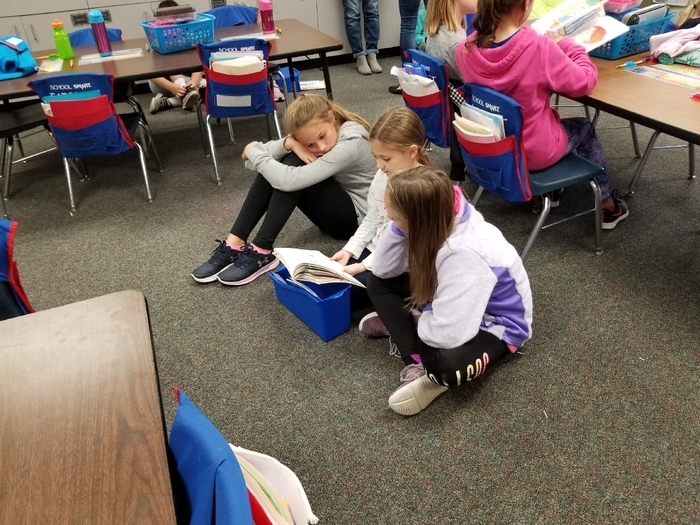 4th grade students reading with their 4K buddies! 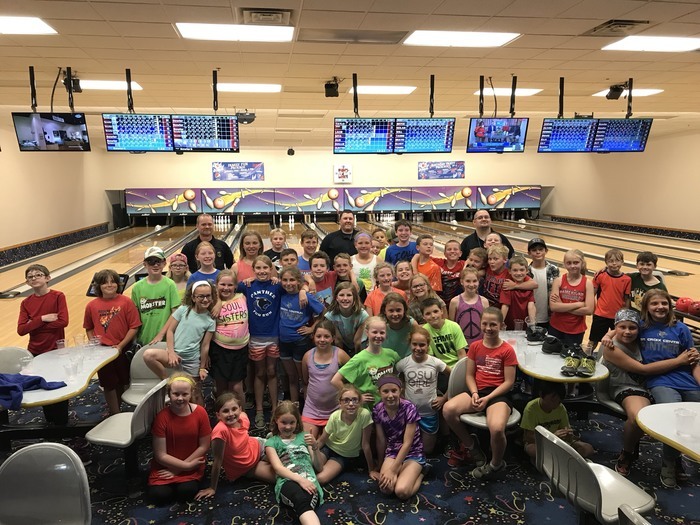 2018-19 Fuel up to Play 60 student Ambassadors! Mrs. Cicha's First Grade class is ready for Fall Festival! 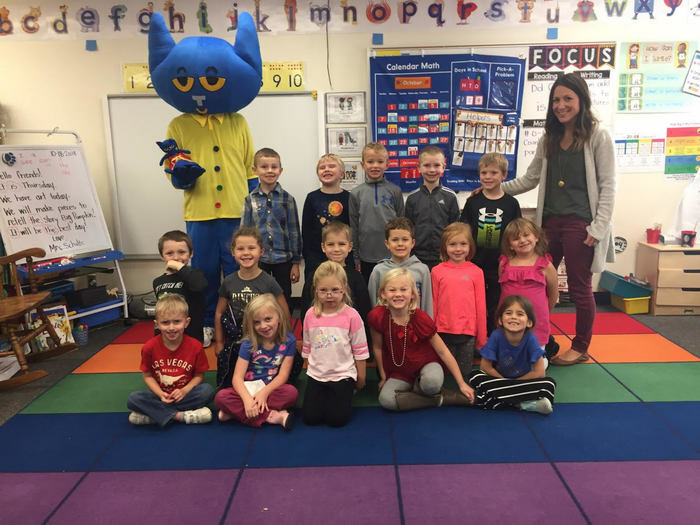 Pete the Panther made his way to Mrs. Schultz's kindergarten class today. 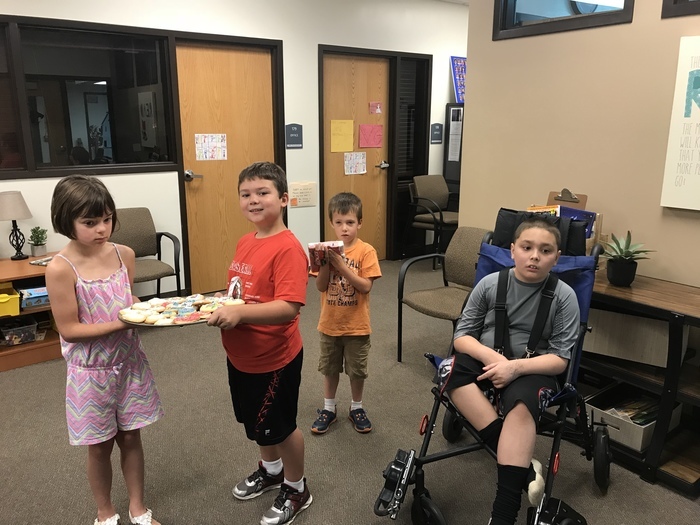 The kids were excited to receive the shoe of goodies and learn more about acceptance. The Veterans Day program is on Monday, November 12th at 8:30 a.m at the elementary school. 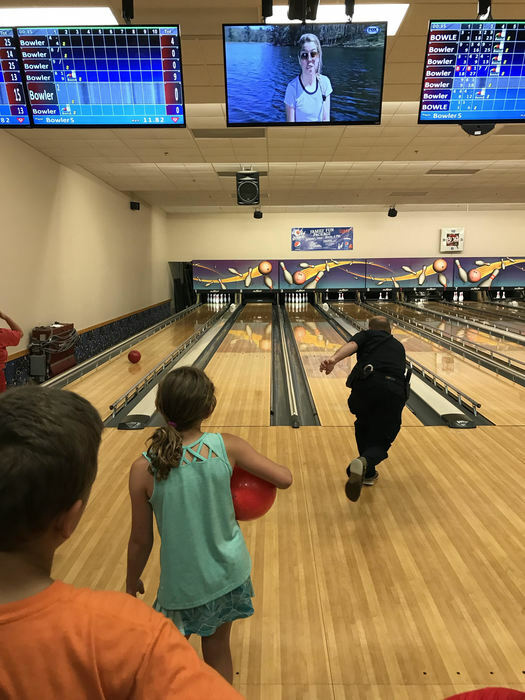 If you are a veteran planning to attend or are inviting a veteran to the program, please sign up at this link https://goo.gl/forms/nouETkBhfxbDiQzC3. 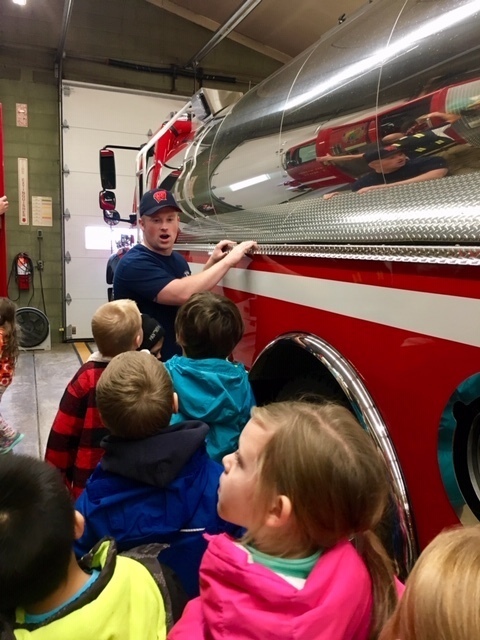 The First Grade students at SCC visited the Roberts Firehouse this week. Firefighters from Roberts and Hammond were there to teach us about fire safety and let us check out the fire trucks! 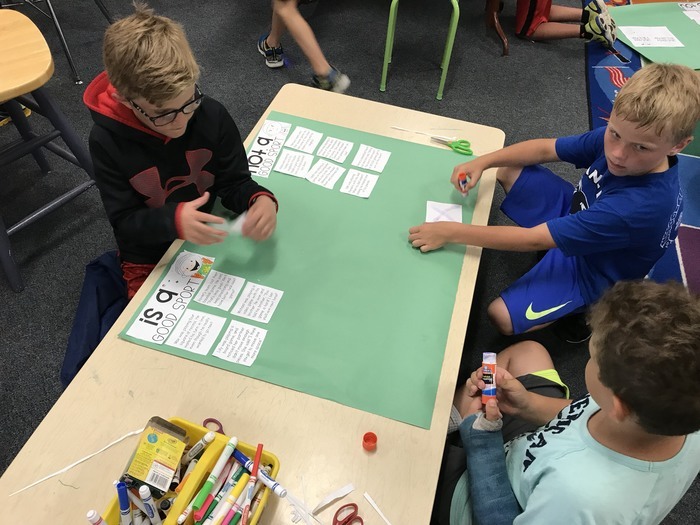 The 4th Grade Tech Team met this morning to start figuring out our Edison Robots that the Panther Parent Group so generously purchased for us! 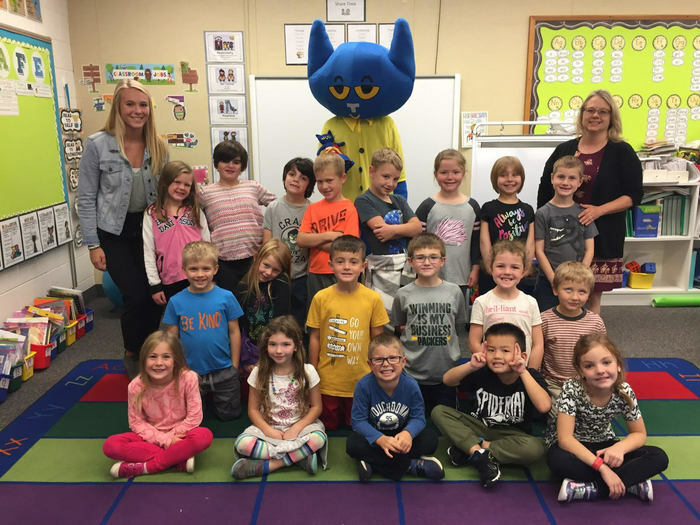 Pete the Panther visited Mrs. Schwartz's 1st grade classroom today to present the class with the traveling shoe of goodies and talk to the kids about our next C.A.R.E.S. focus on acceptance. 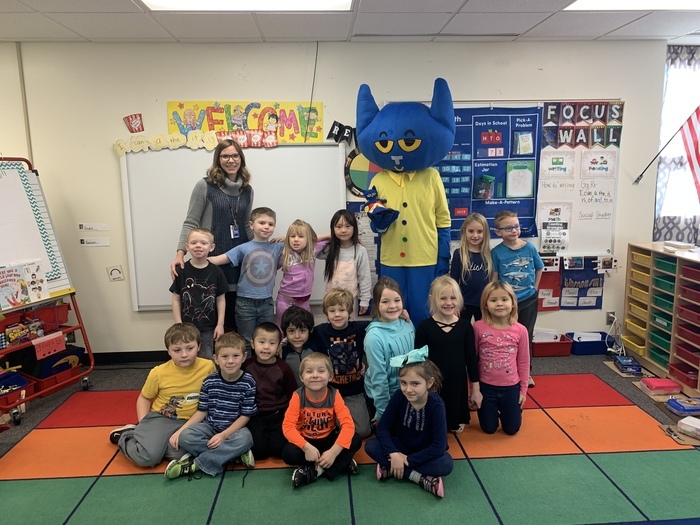 Pete the Panther passing along the traveling shoe of goodies on to Mrs. Gessler's kindergarten class as we wrap up our C.A.R.E.S. focus on cooperation. Next week we will begin our focus on acceptance. 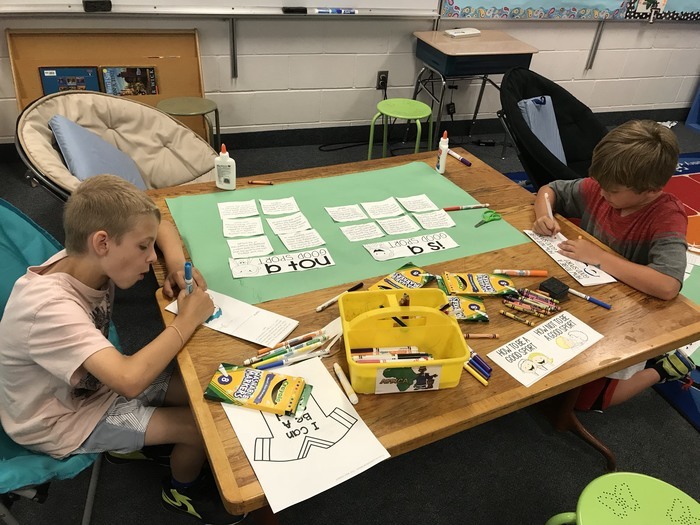 It is Fri-Yay in Mrs. Cicha's first grade class. 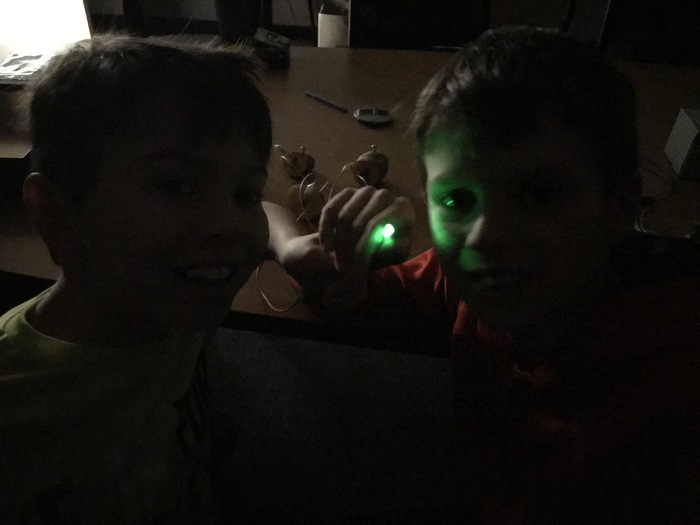 They started out the day with a little flashlight reading! 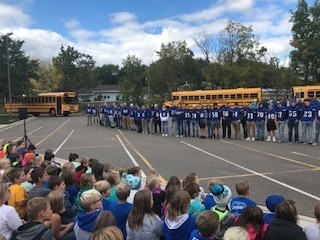 A special visit today from the high school football team, cheerleaders, dancers and band got the elementary students pumped for tonight's big homecoming football game against Osceola! 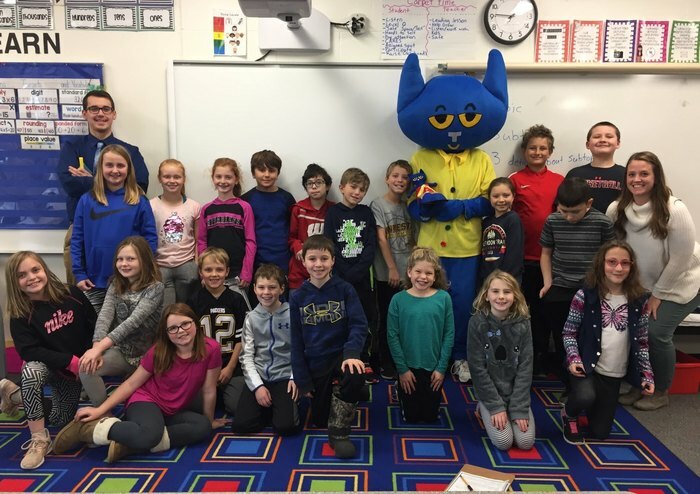 This week our friend, Pete the Panther visited Mrs. Cicha's 1st grade class to talk about this month's C.A.R.E.S. trait, cooperation. 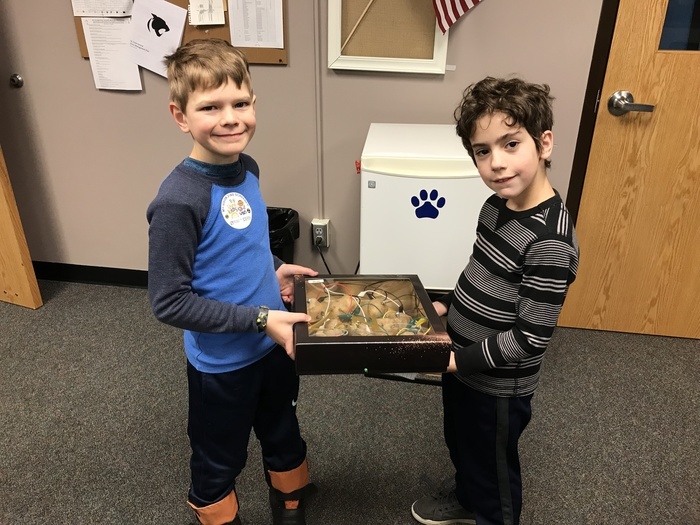 The class received the traveling shoe of sweet treats for doing a wonderful job of showing cooperation lately! 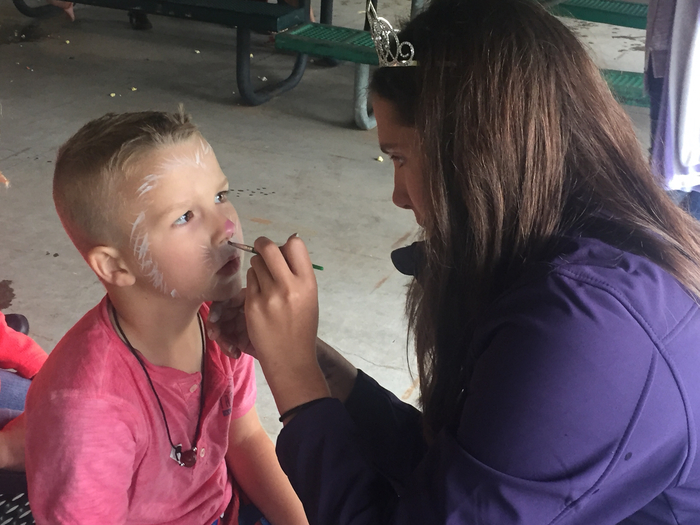 Attention Elementary Parents -- Don't miss out on the opportunity to see your child dance under the lights at a Friday night football game! The SCC Dance Team is hosting an Elementary Dance Camp for students in K-4 the week of October 10. 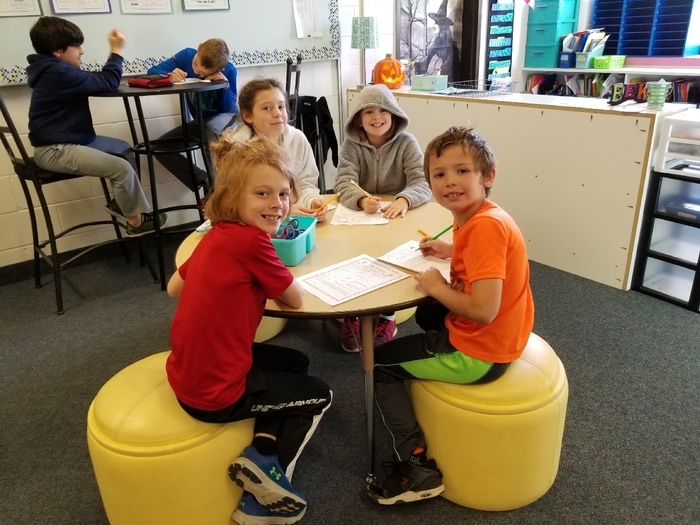 Forms are available in the elementary school office and are due Thursday, September 27. 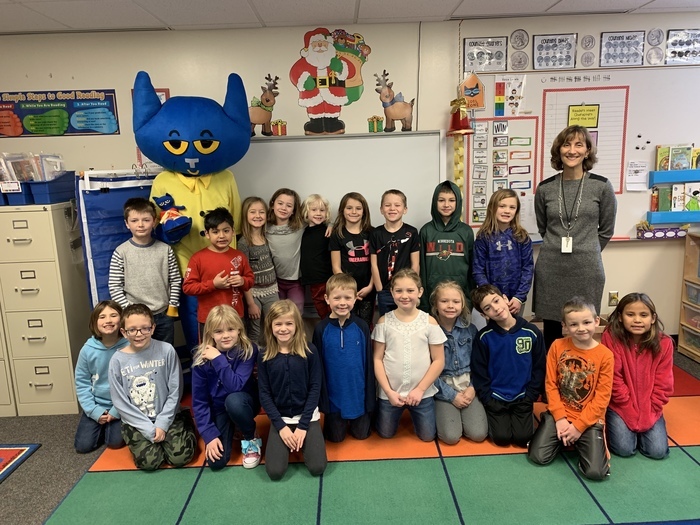 Pete the Panther visiting Mrs. Heinbuch's 2nd grade class to award them this week with the traveling C.A.R.E.S shoe filled with delicious goodies. Her class received the reward for doing a great job showing cooperation which is our C.A.R.E.S. focus during the first month of school. 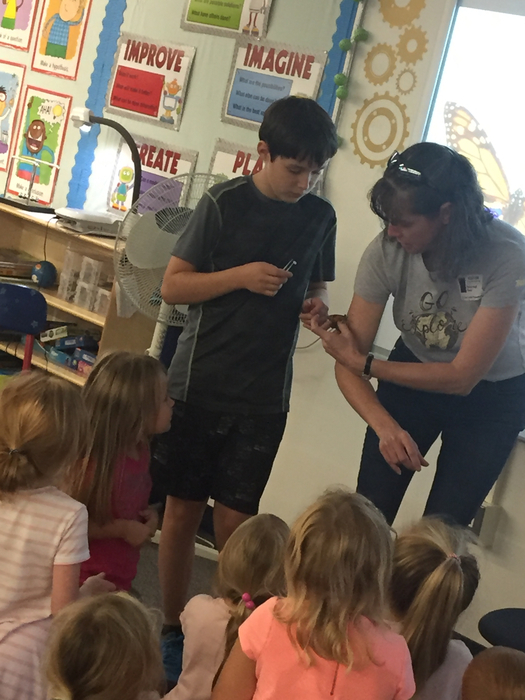 Mrs. Cicha’s 1st grade and Mrs. Gessler’s Kindergarteners learned about Monarch butterflies during their science specials class from 6th grader James! James and his mom raised and released 100+ Monarchs this past summer. 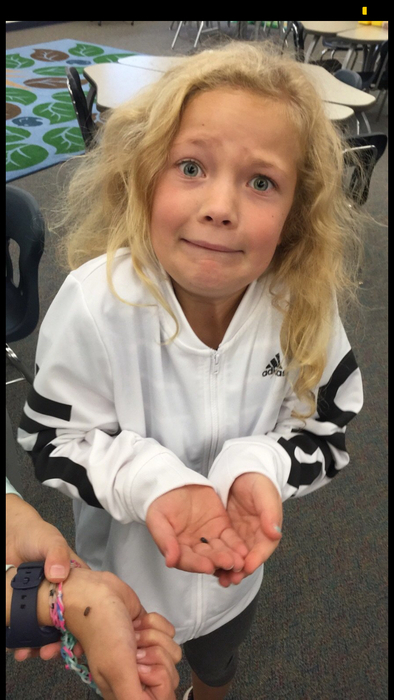 The classes were able to tag and release 2 Monarchs with the guidance of James and his mom. 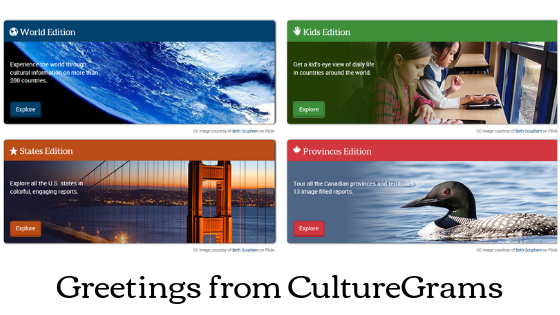 Great example of Citizen Science! 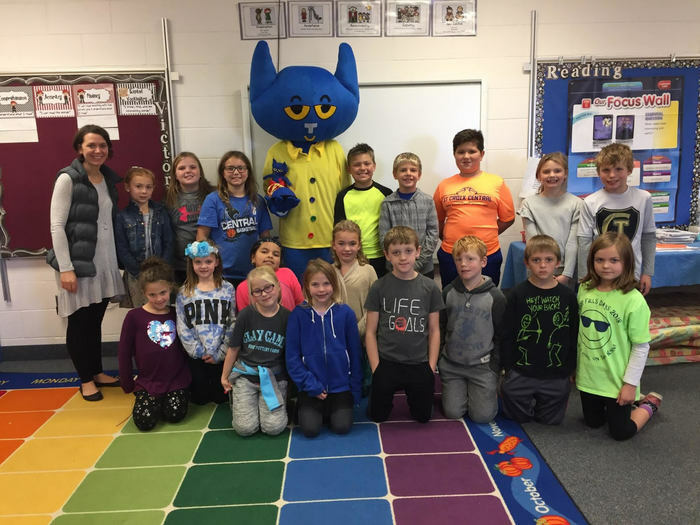 Today Pete the Panther visited Mrs. Fritz's 2nd grade class to award them with the traveling C.A.R.E.S shoe filled with treats. 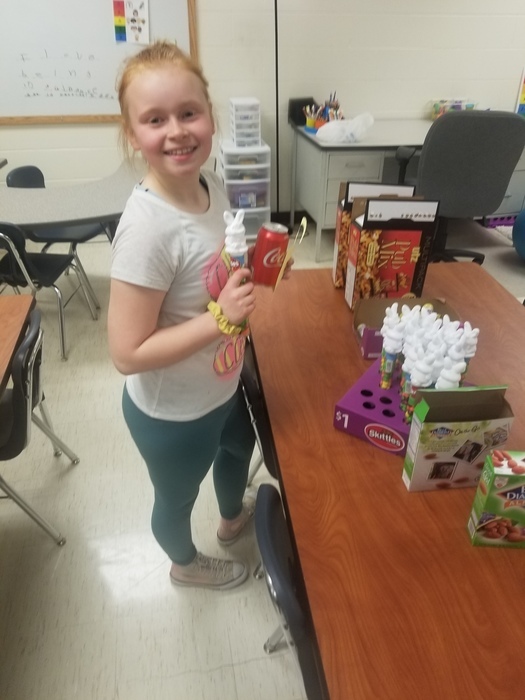 Her class received the reward for doing a great job showing cooperation which is our C.A.R.E.S. focus during the first month of school. 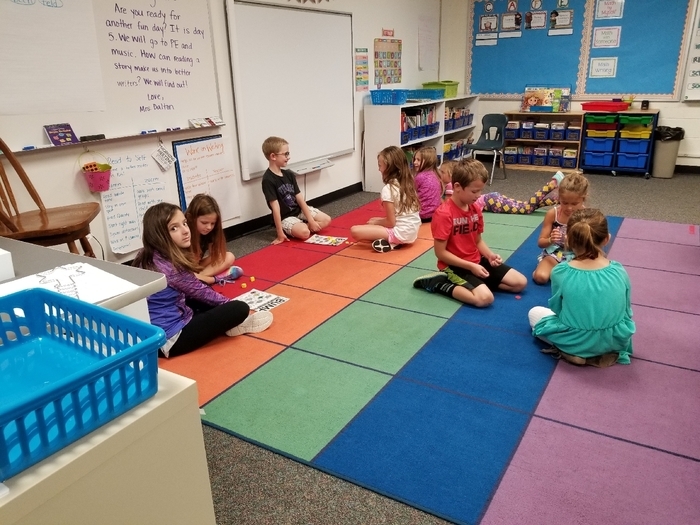 Mrs. Dalton's 2nd graders practiced their addition facts with a game and a partner! 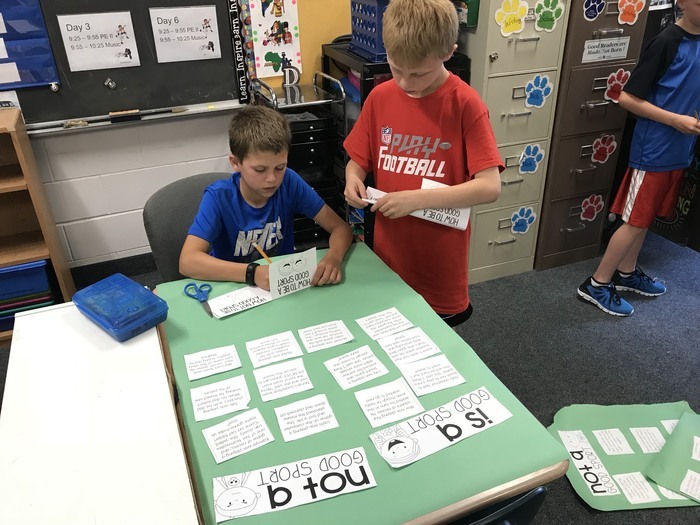 Who says learning isn't fun?! 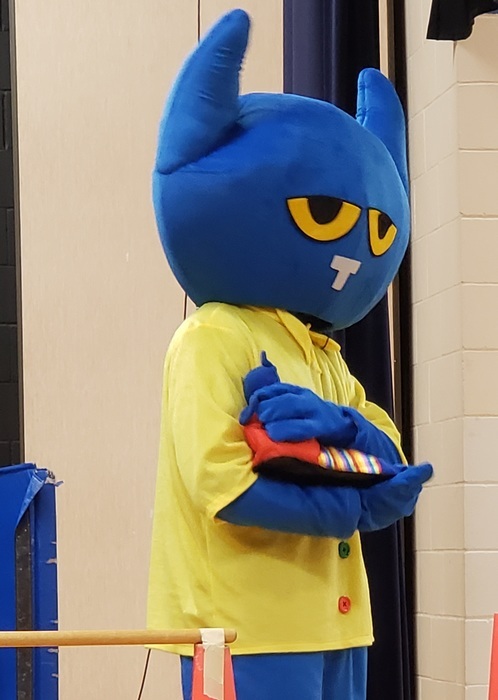 Each year at the elementary we celebrate learning about character with a new theme and mascot. This year's theme is "Be You." 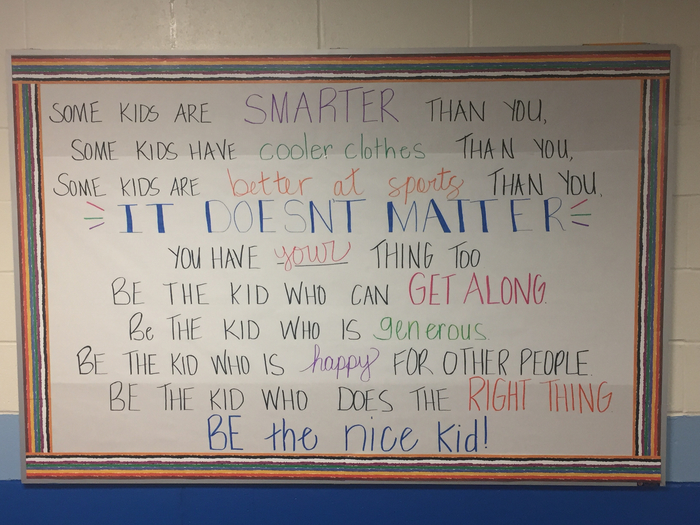 At our C.A.R.E.S. 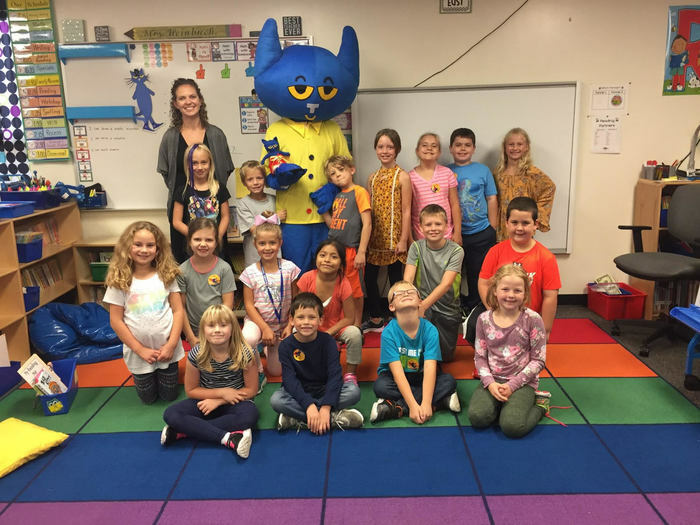 assembly last week the students got to meet this year's new mascot, Pete the Panther! 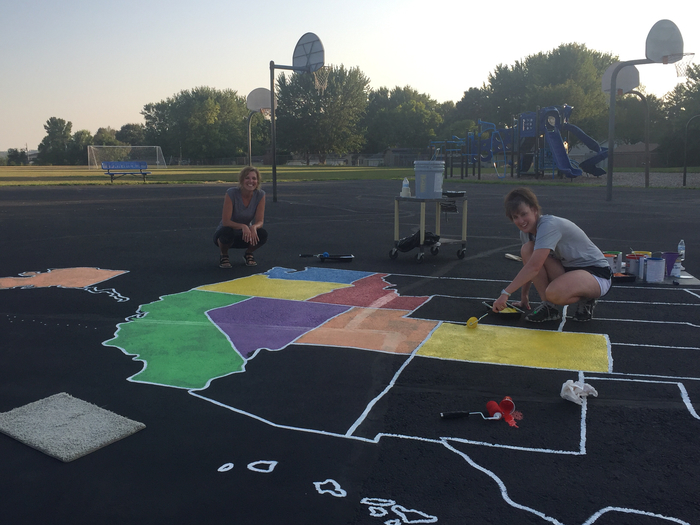 Mrs. Simone and Mrs. Widiker are working hard on the Elementary Playground! This looks AMAZING!! 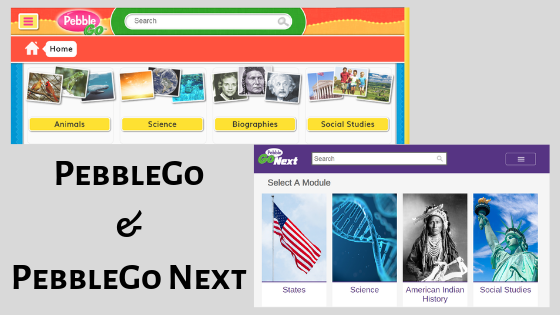 There are many new things for the students to check out! 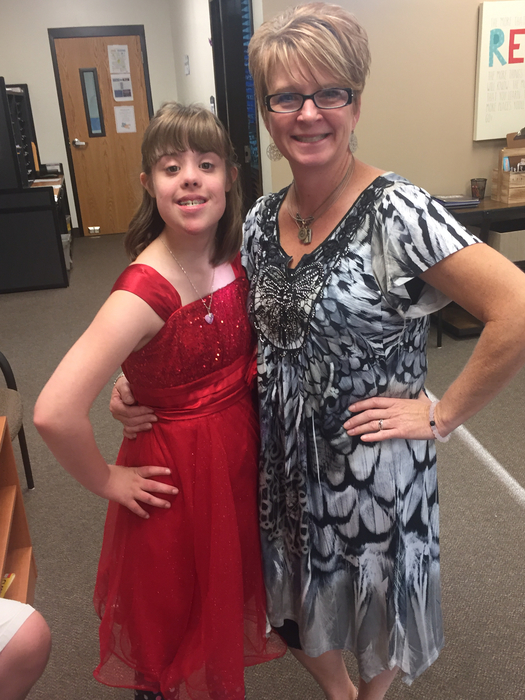 Thank you Mrs. Simone and Mrs. Widiker for your hard work!! Wow 11 years and counting!!! 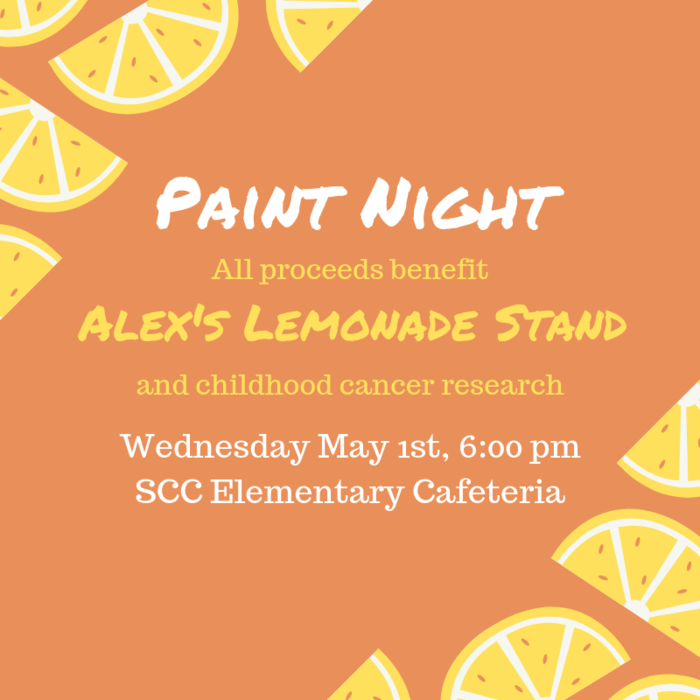 Families keep on the lookout for information, we will again be doing the school wide Art To Remember fundraiser. 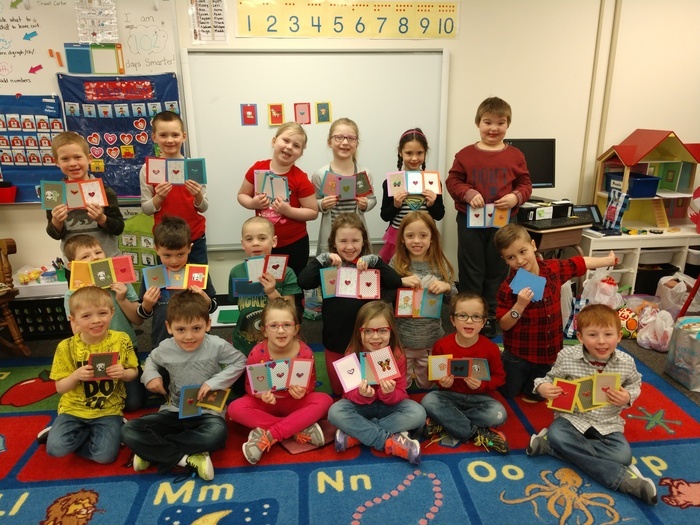 K-1 Self Portraits, 2-3 Grandma Moses Stories, 4th grade Family Portraits. 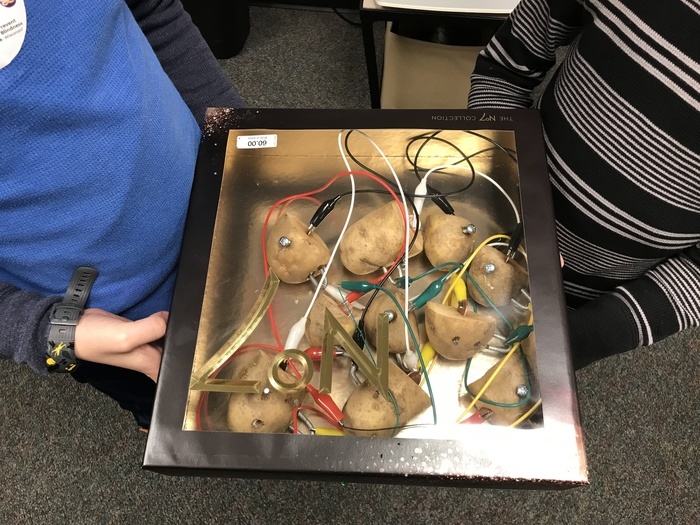 Always a blast to see what kids create. 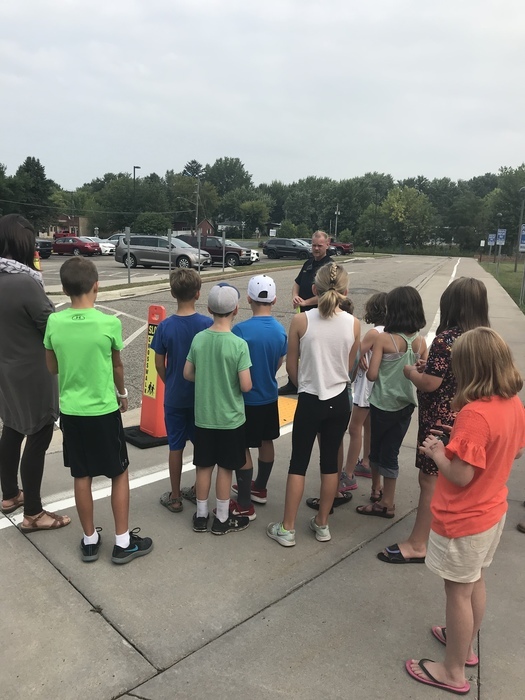 4th Grade Crossing Patrol Training! 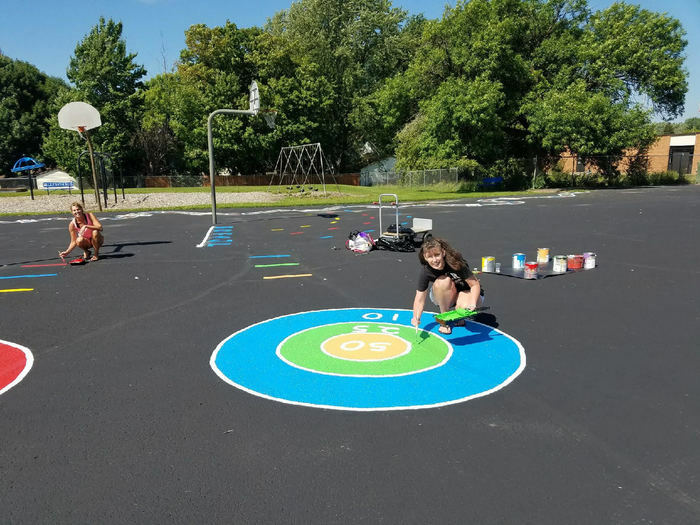 The students are going to love what Mrs. Widiker and Mrs. Simone have planned for the playground! 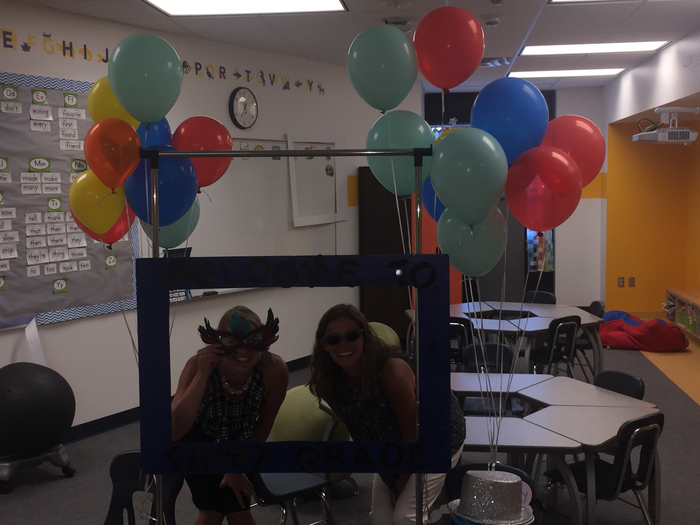 There was great energy at th Elementary Open House last night! Cant wait for school to start!!! 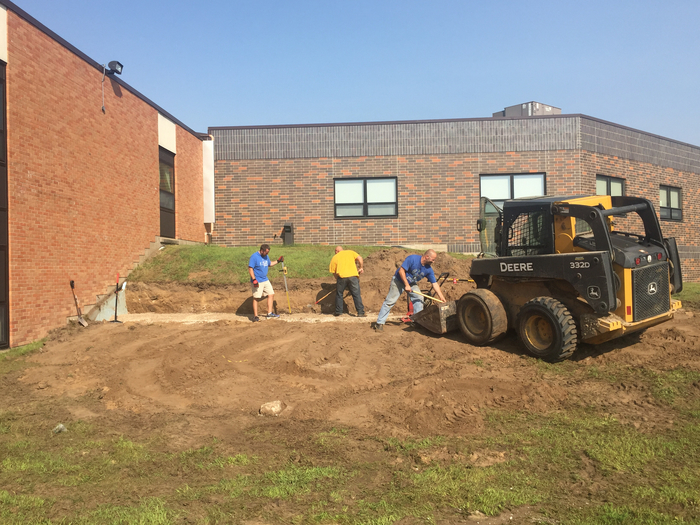 Thank you to those that came out today to build the Outdoor Classroom! 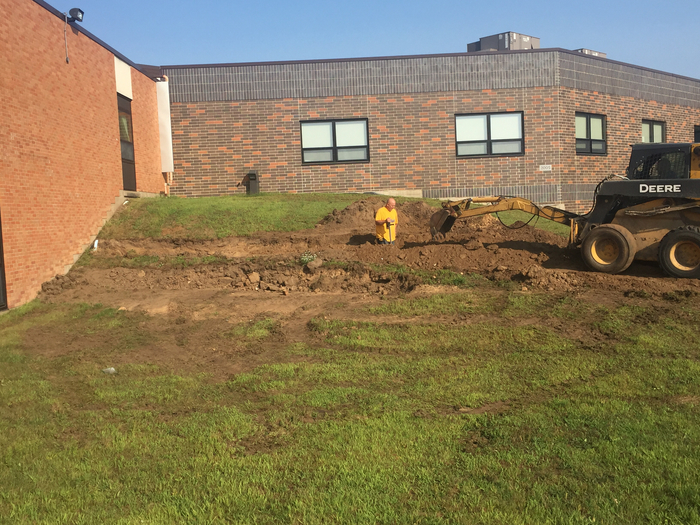 Class Placements will be posted on Skyward's Family Access & the front doors of the Elementary School Friday, August 3. 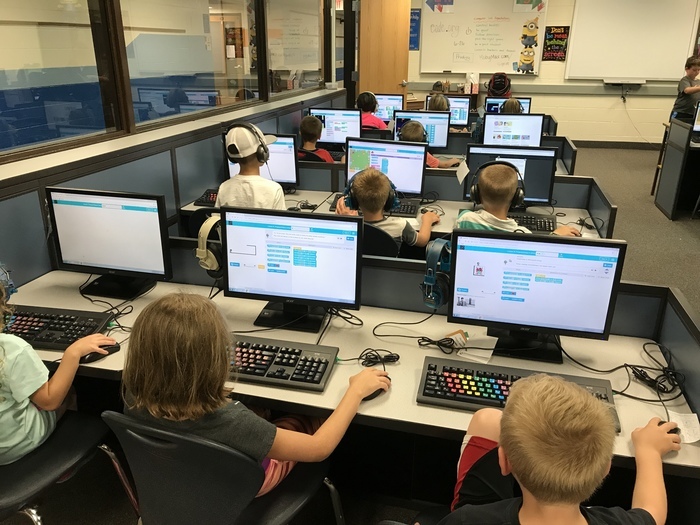 Skyward is doing some summer maintenance so check back if at first you can't view. 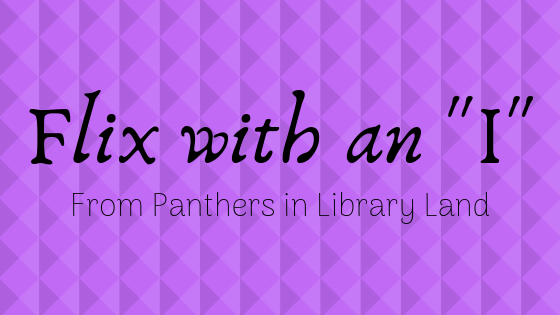 Libraries Rock! 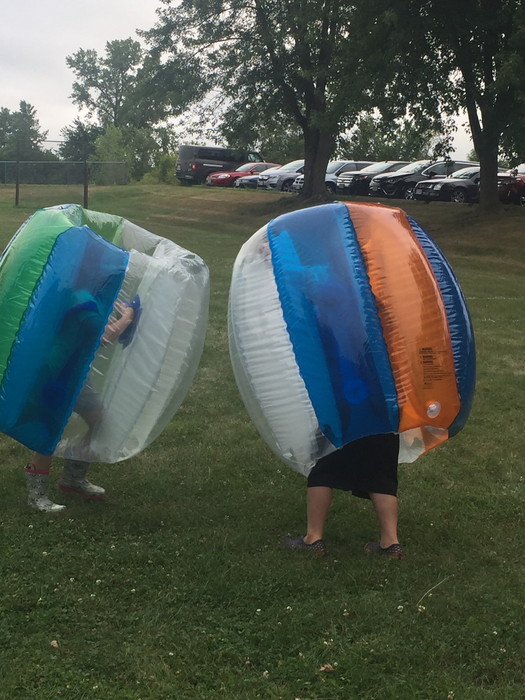 We sure had fun at the park tonight for the finale of the Roberts library reading program. 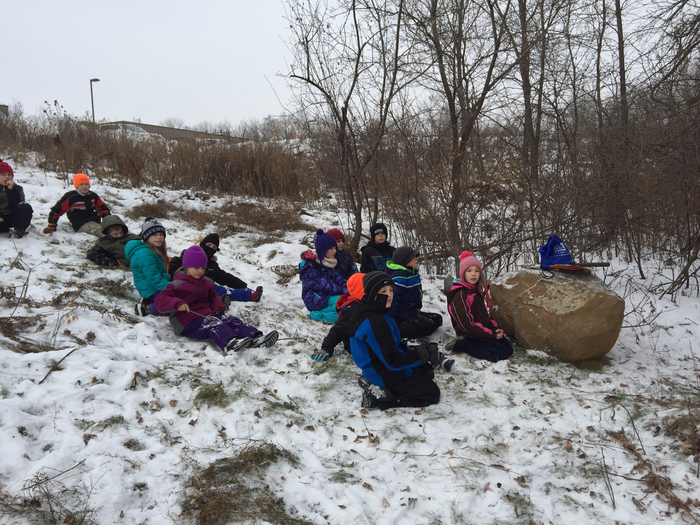 It was cold, but that didn’t stop us!! 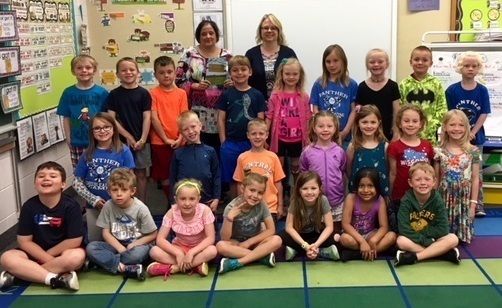 Mrs. Gayan's class received the CARES trophy for showing perseverance, not just this month but all year long. Great job! Wow! 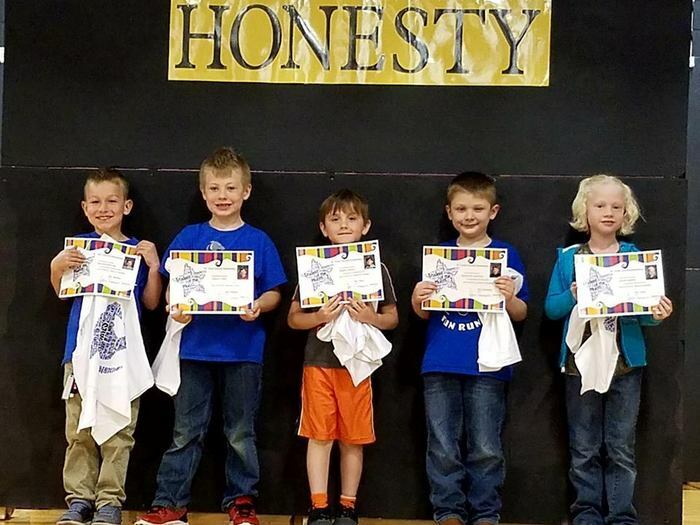 Amazing #sccspirit as these ES students were the the recipients of the student of the month award for showing outstanding honesty. Way to go! 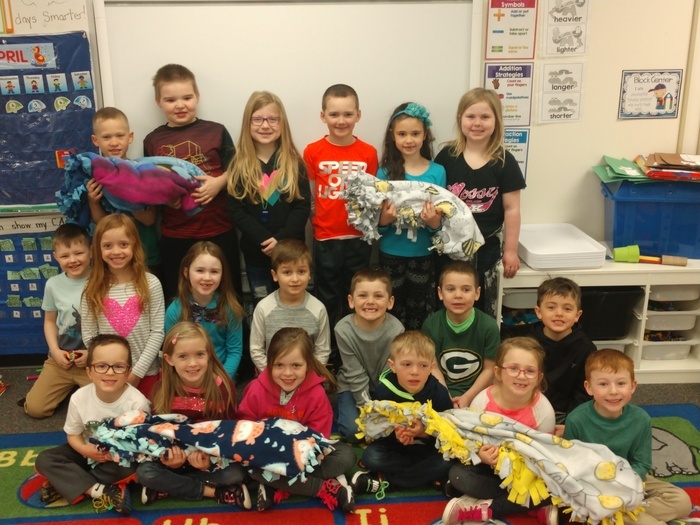 Wonderful students in Gessler's class made 6 tie blankets & cards for children at Gillette children's specialty hospital Ronald McDonald House! 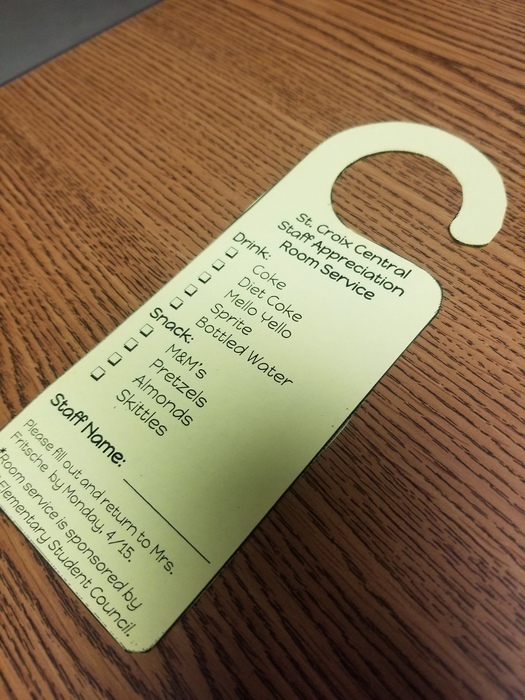 Great service project showing our CARES & #sccspirit !